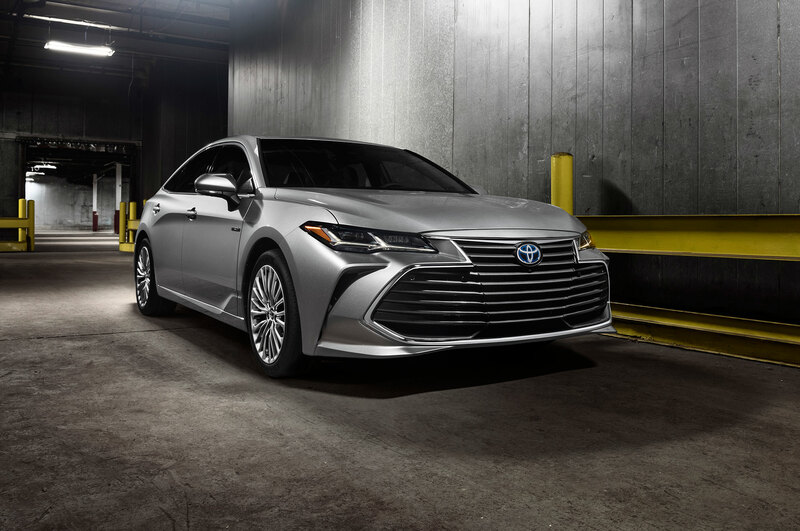 One year after the 2018 Toyota Camry dropped cover at the 2018 Detroit auto show, the Japanese automaker is back in snowy Michigan with the all-new 2019 Toyota Avalon. 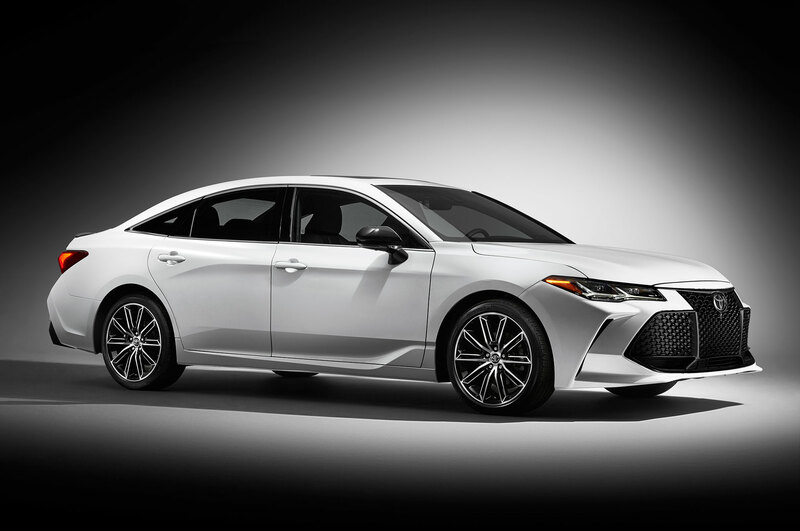 Like the revised Camry, the new Avalon brings a much needed update to an aging model. 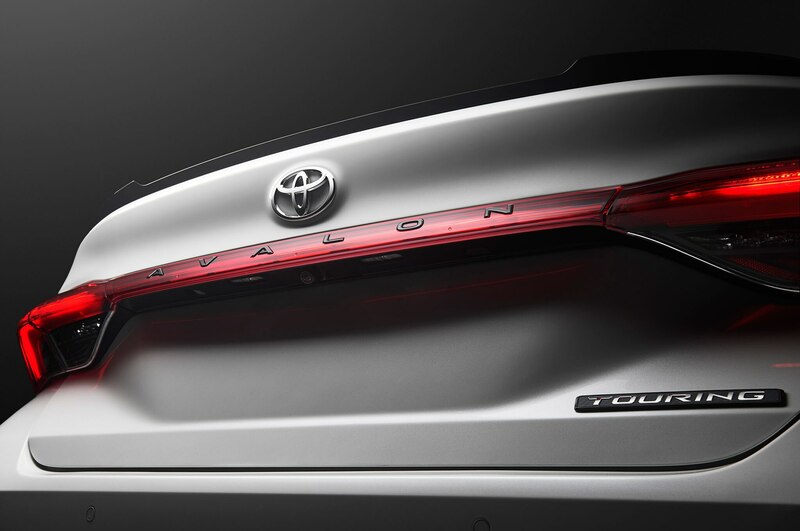 Unsurprisingly, the new Avalon rides on the rather good Toyota New Global Architecture (TNGA) modular platform. 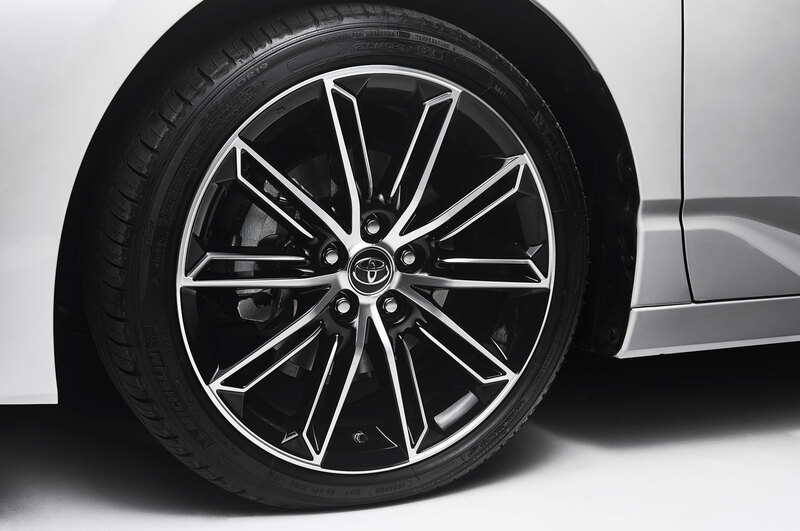 Utilizing the TNGA means the new car should have a more refined ride than ever, thanks to the platform’s multilink rear suspension. 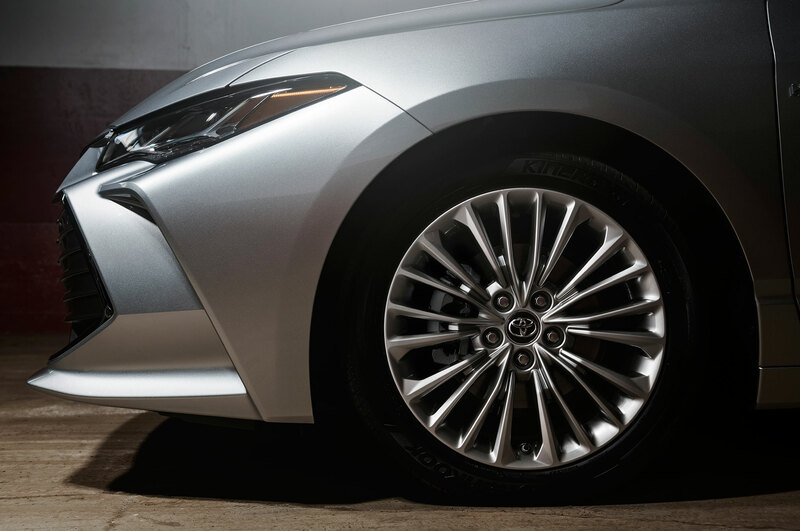 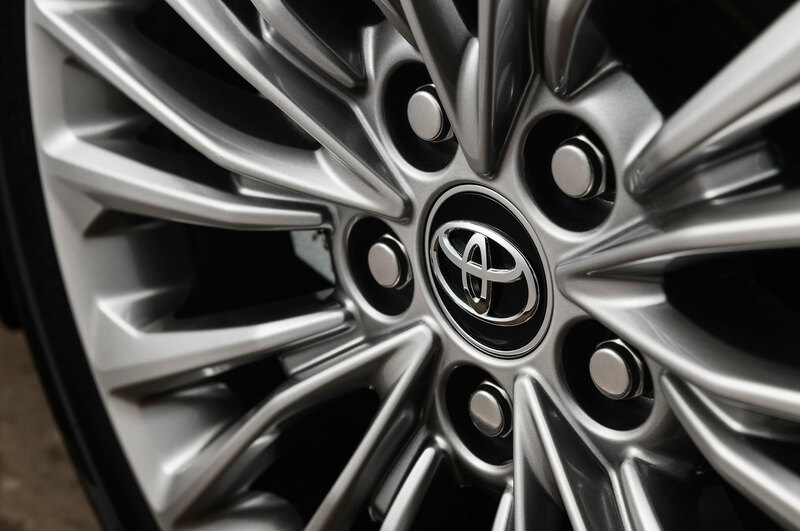 Toyota also mentions the car will feature optional adaptive suspension, a Toyota-first. 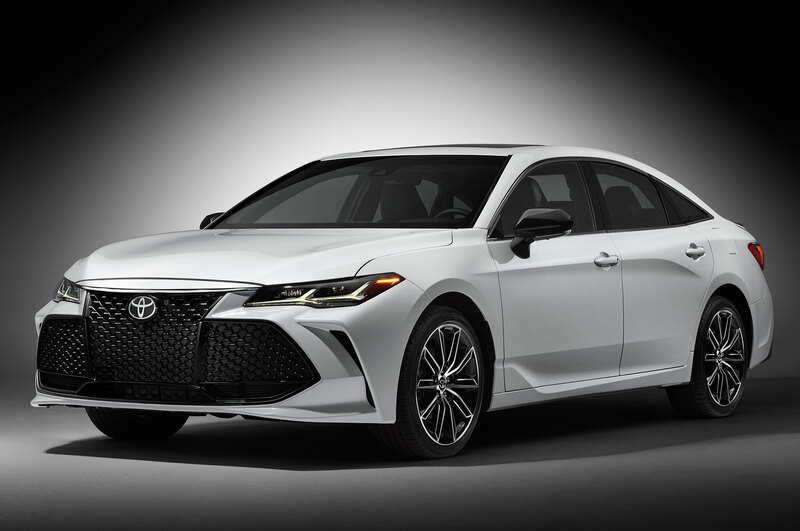 This also means it should conceivably be the best handling Avalon to date, and while that’s not necessarily important to the Avalon’s ethos, confident road feel is never a bad thing. 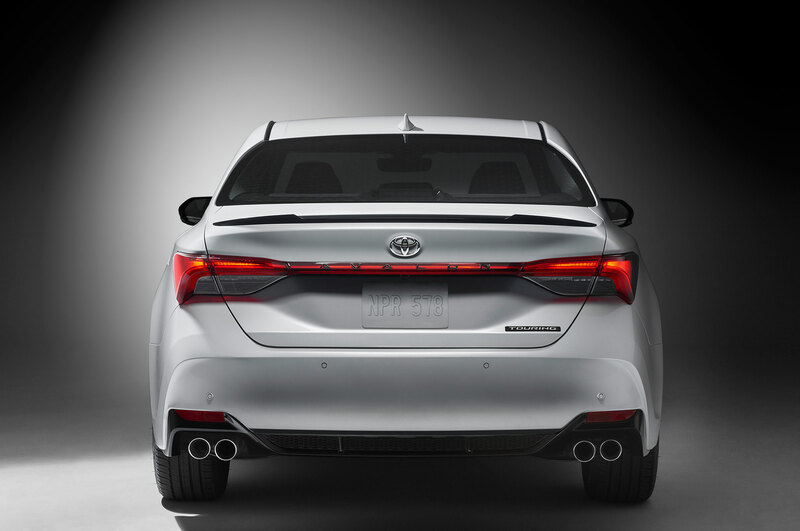 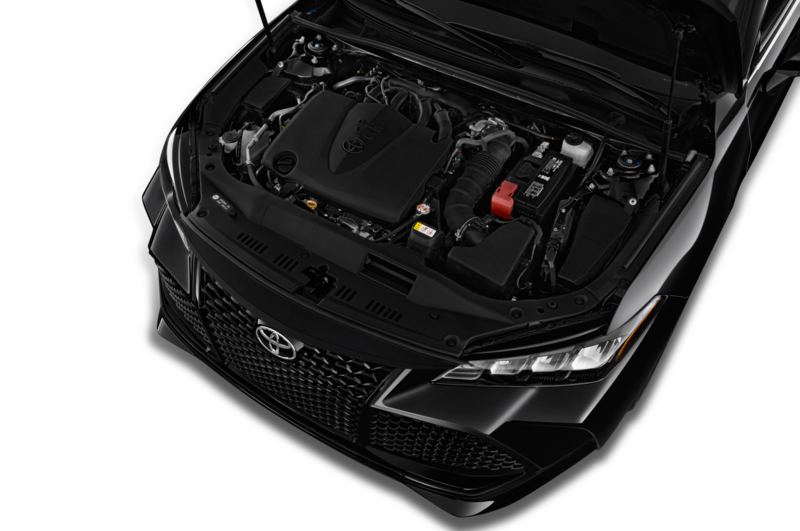 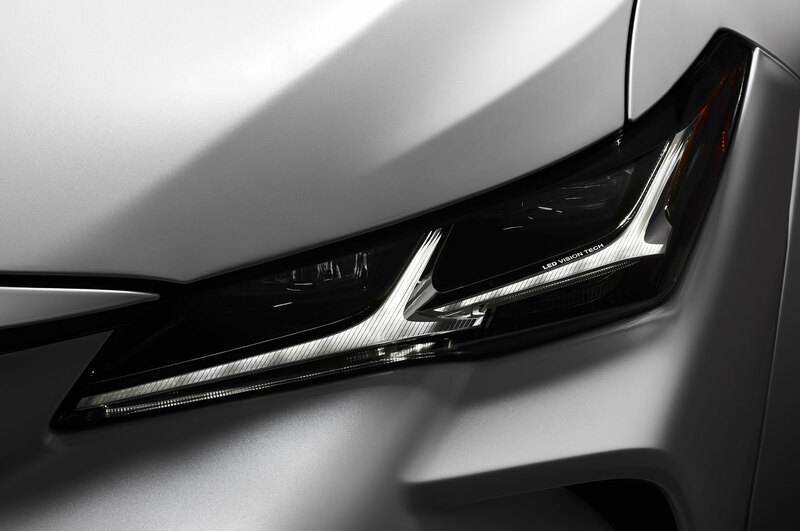 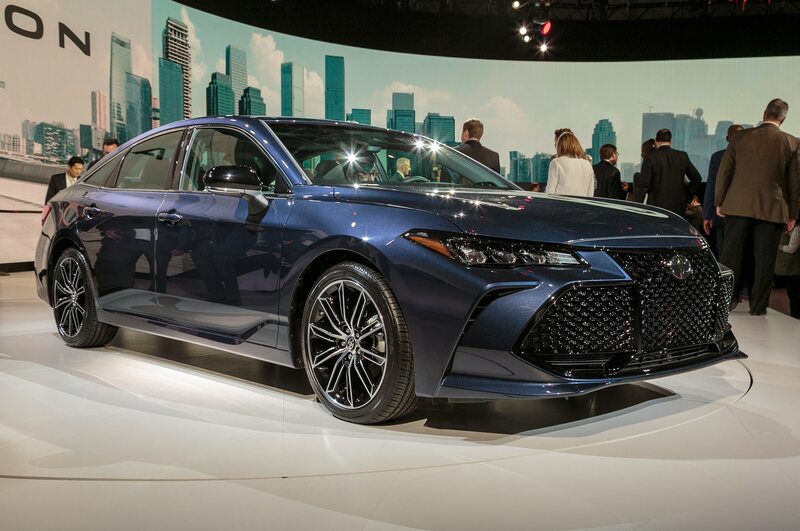 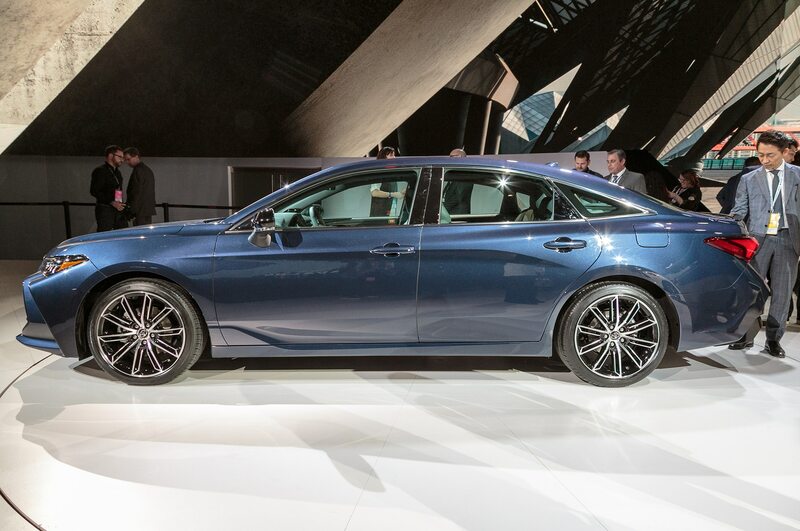 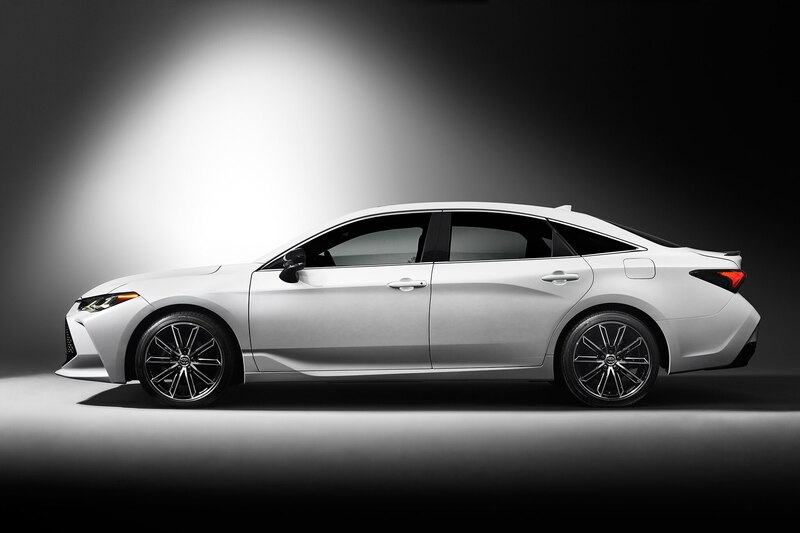 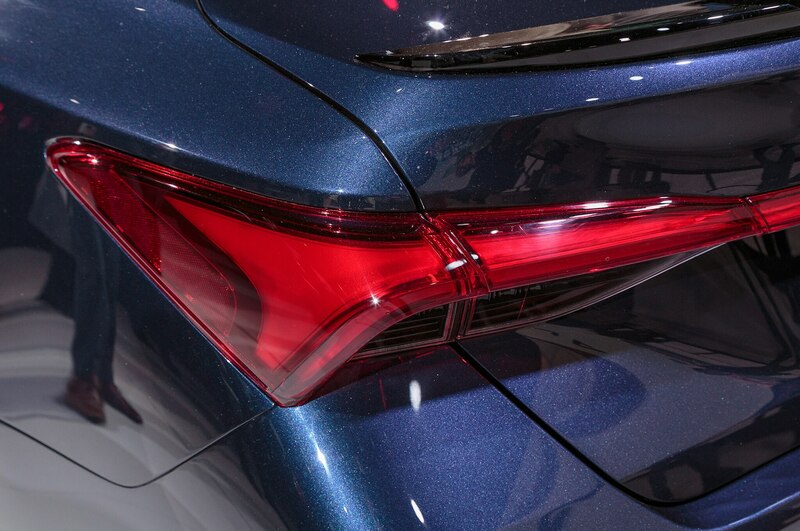 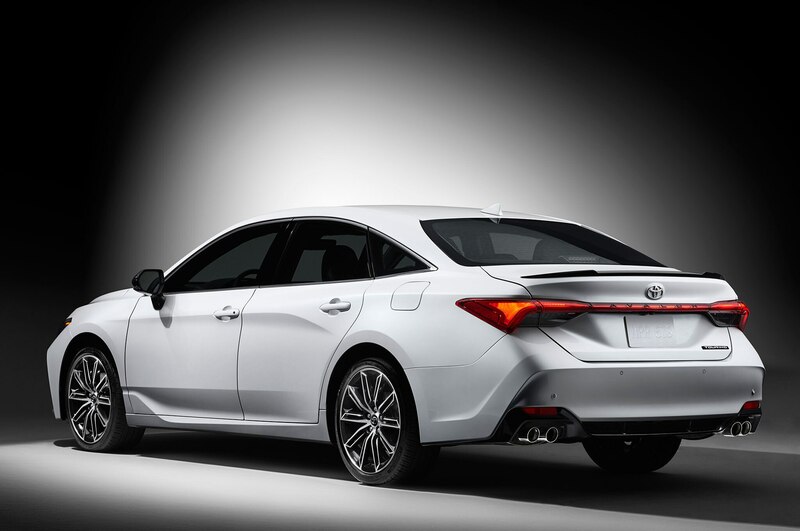 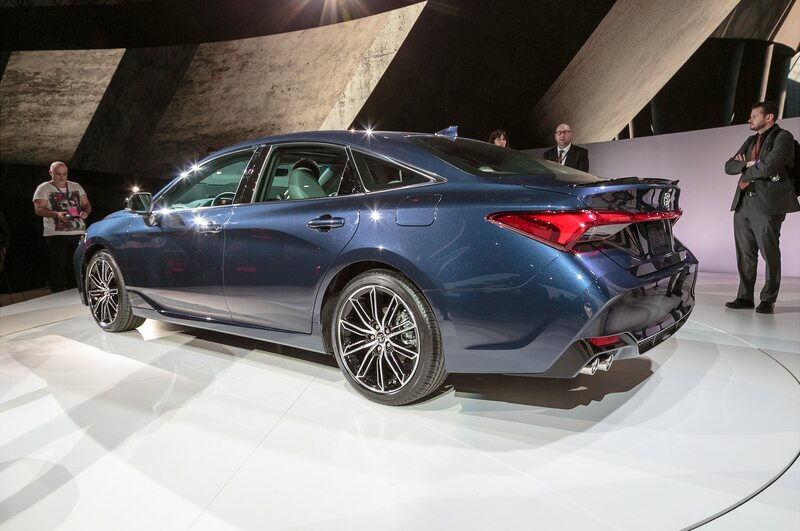 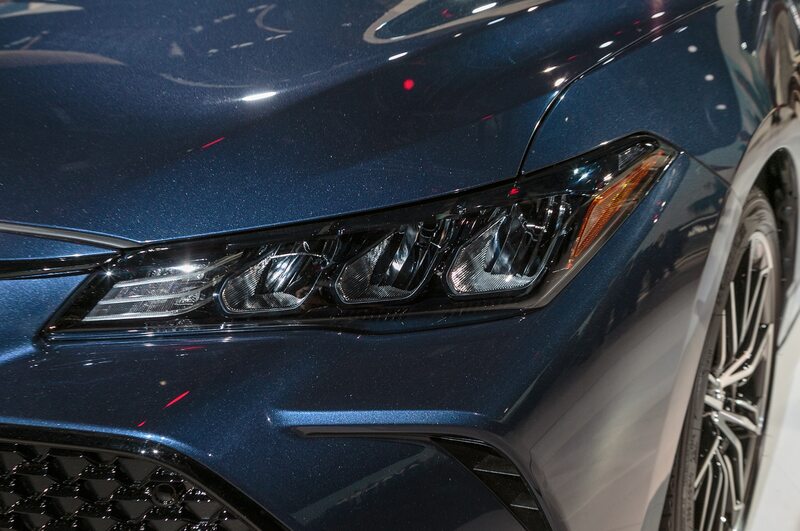 Visually, the new Avalon is very much in-line with modern Toyota. 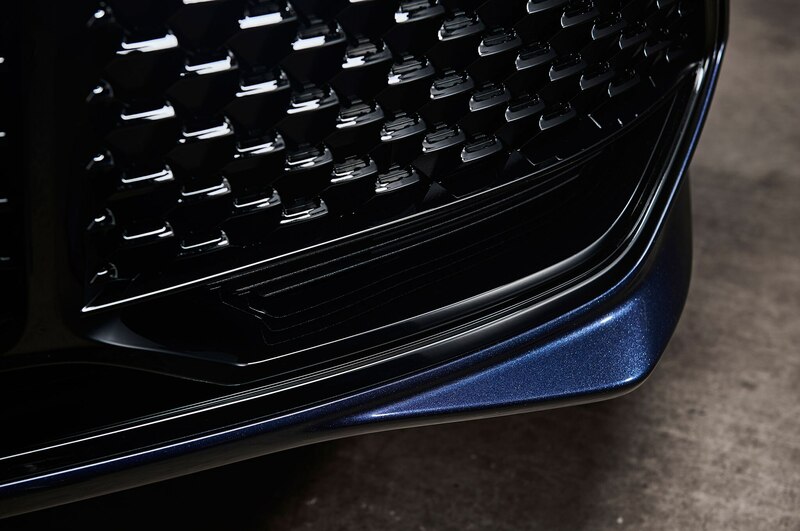 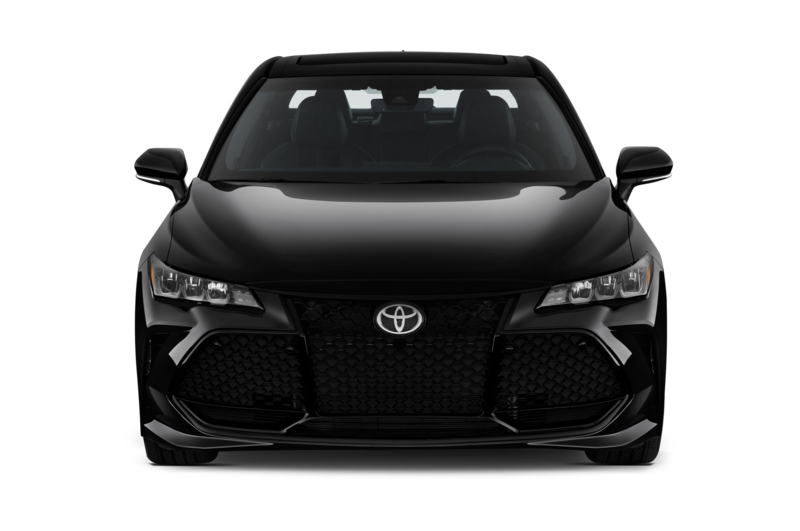 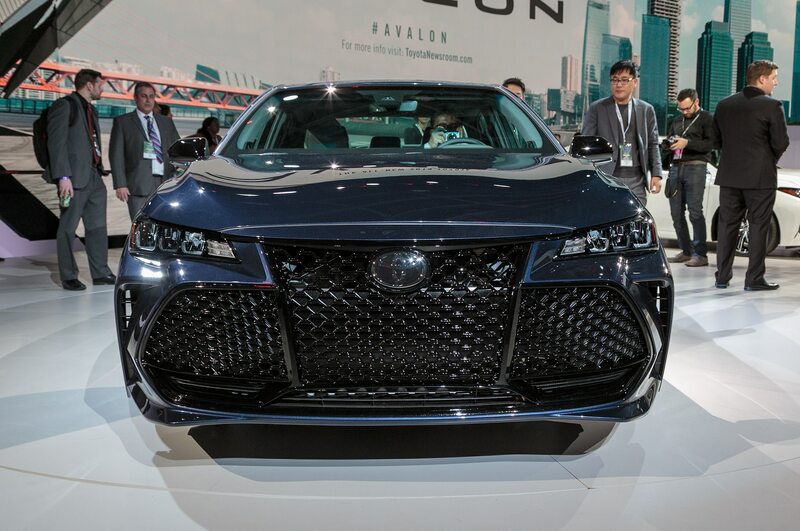 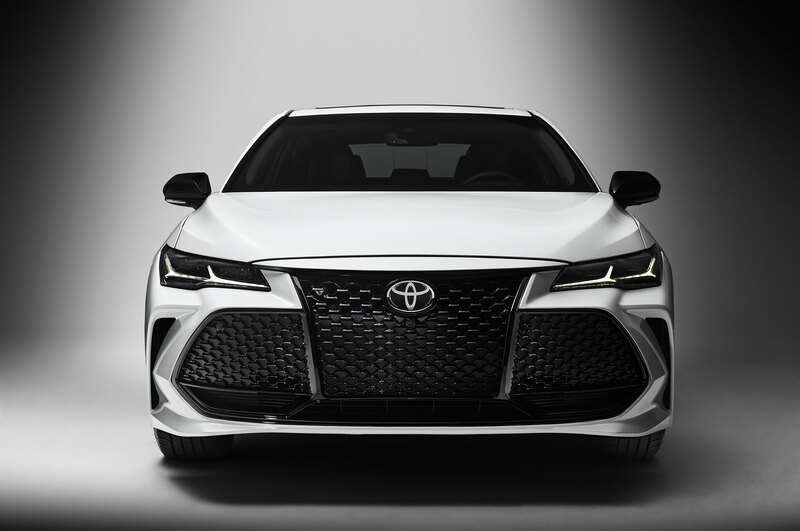 The wide, open front grille is almost Lexus-like, lending the new sedan a premium appearance befitting its status as the range-topping Toyota sedan. 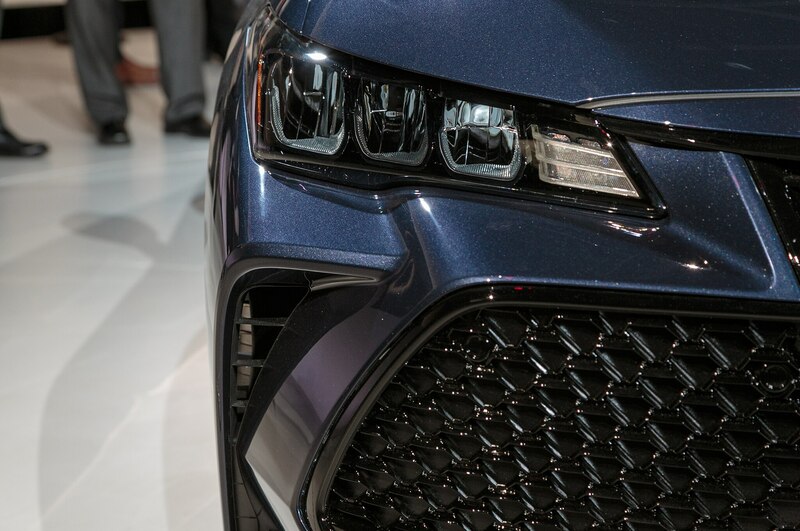 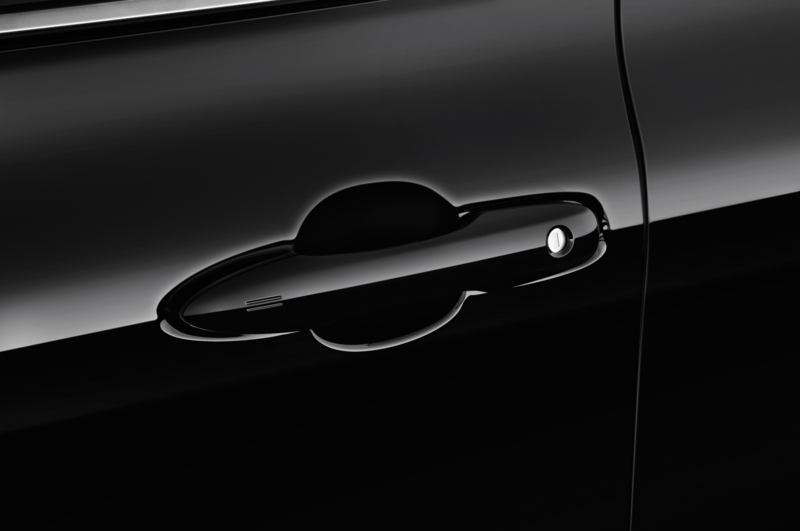 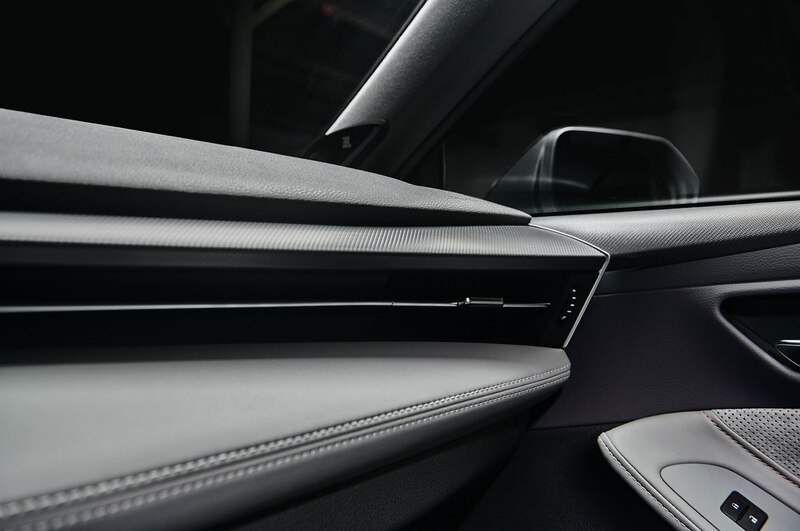 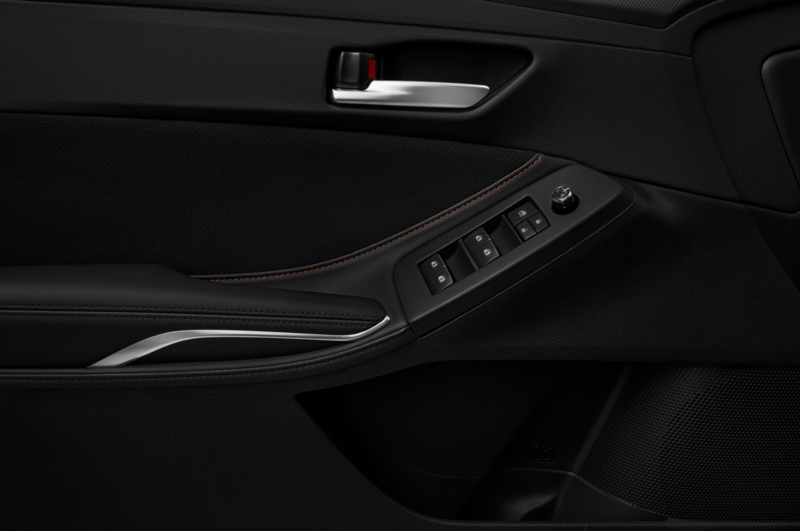 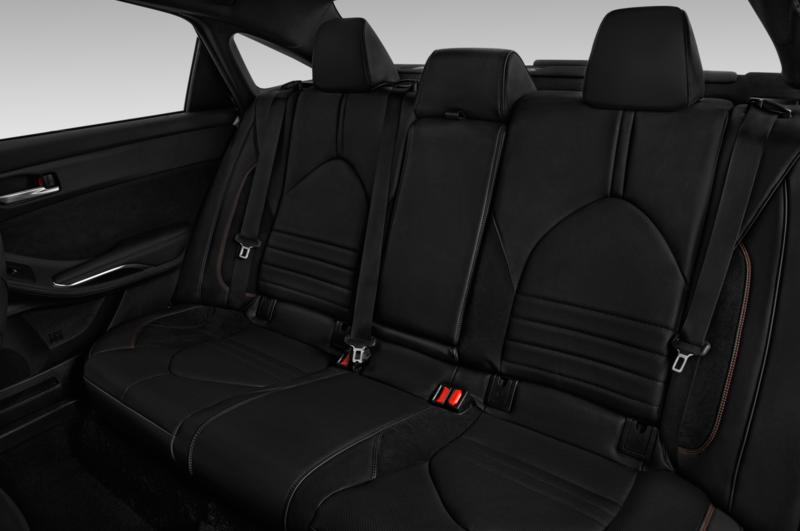 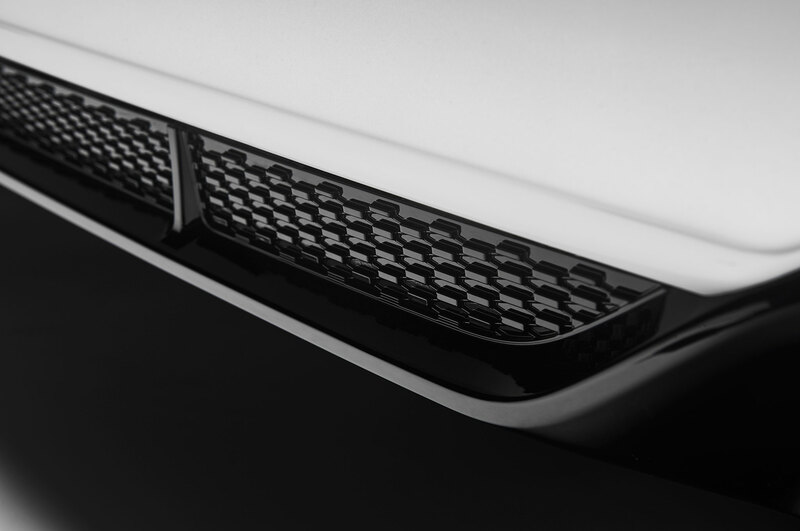 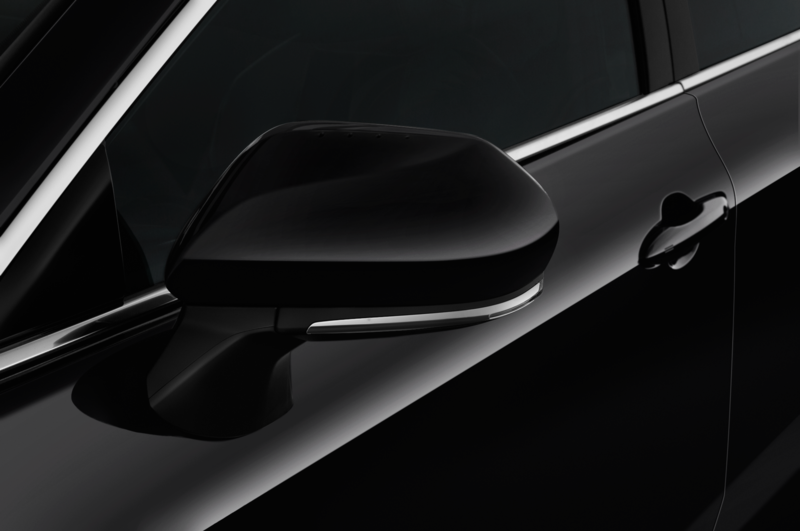 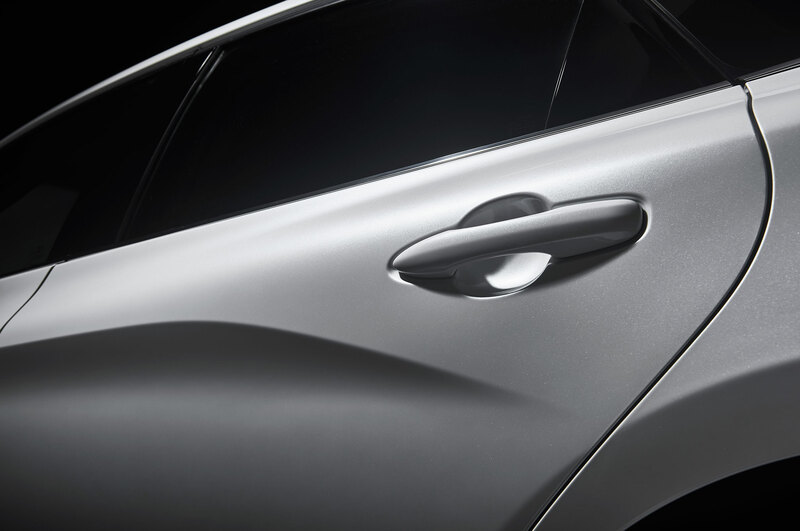 In other places, the design is uncharacteristically angular and aggressive, especially in the previewed Touring trim. 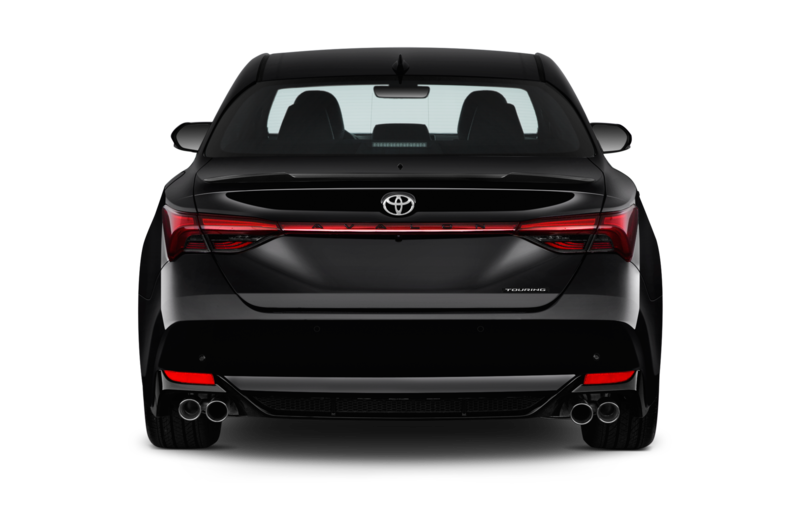 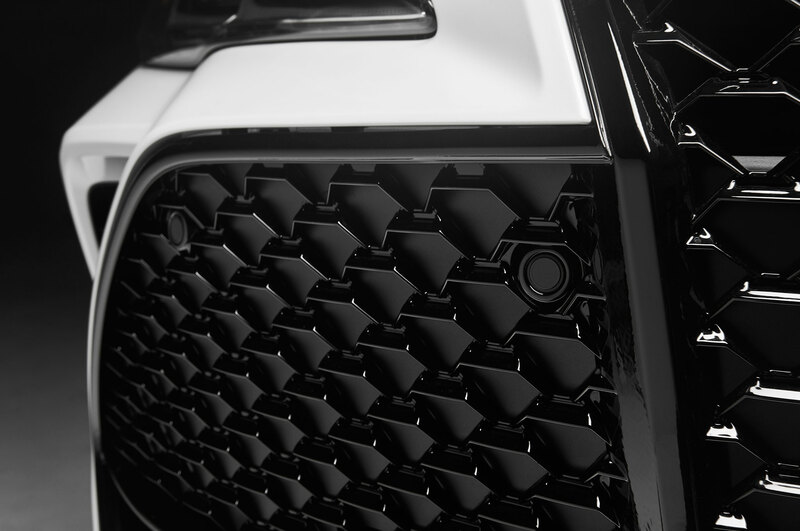 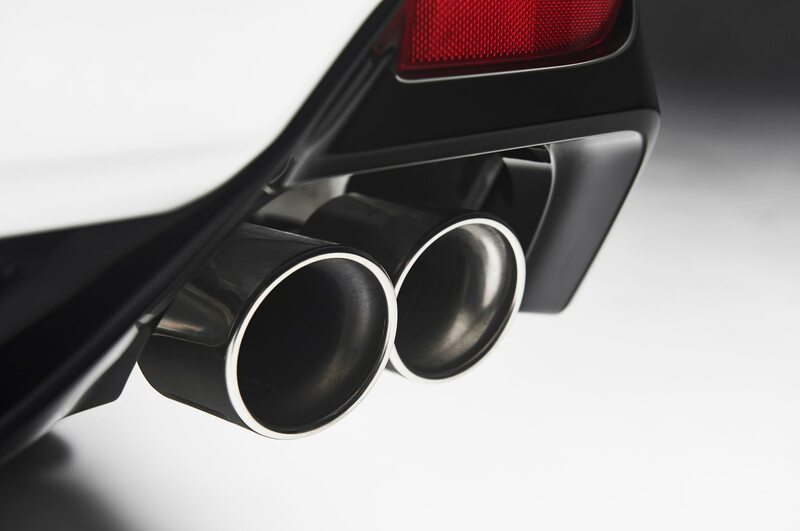 This package includes rear-end with a quad exhaust setup and a darkened bottom diffuser and trunklid spoiler. 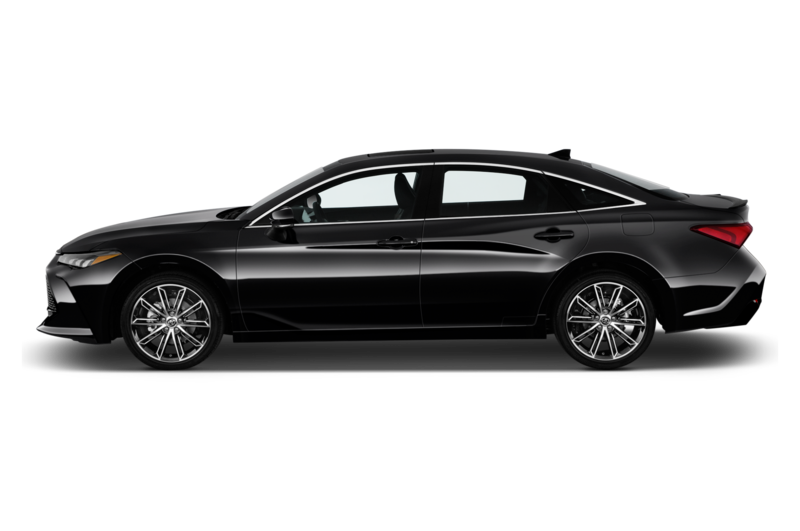 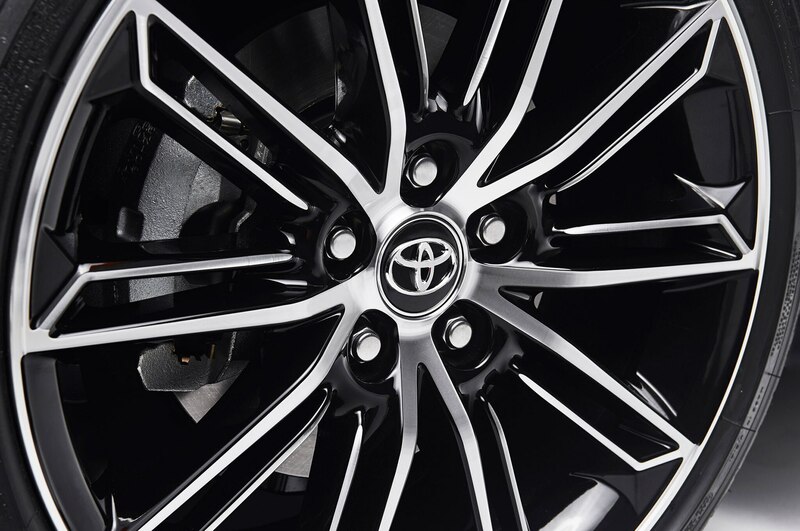 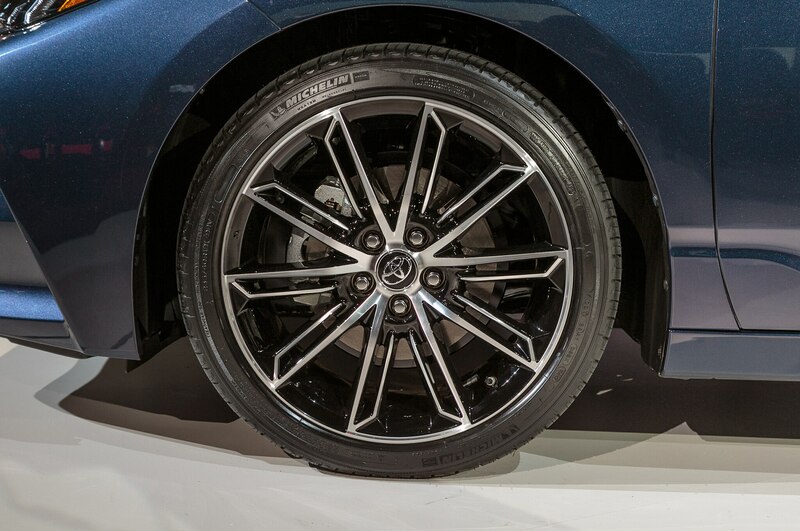 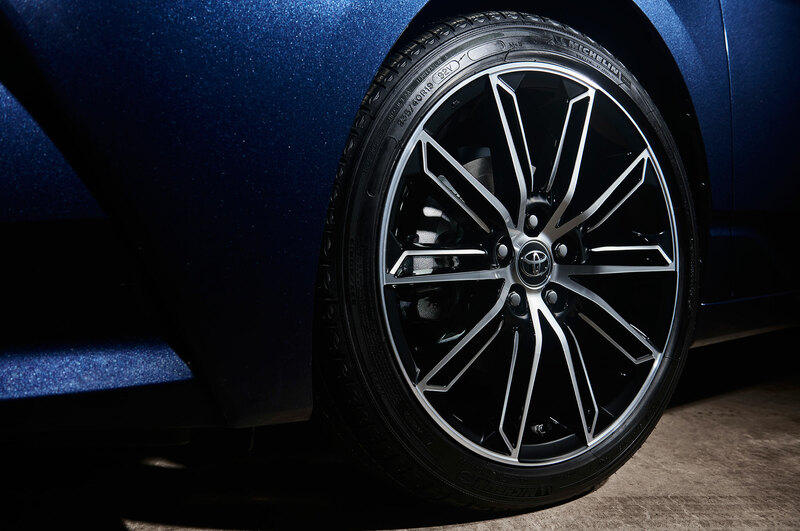 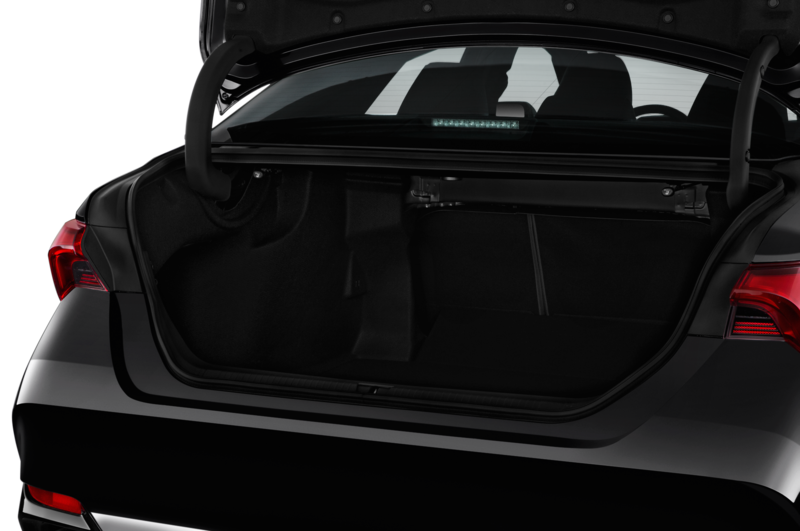 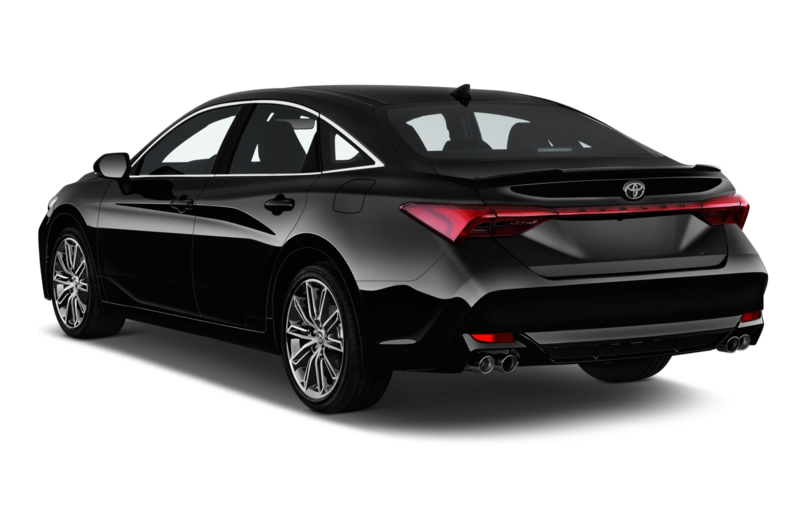 From the provided photos, the XSE, Hybrid, and Touring Avalon ride on large alloy wheels, rounding out the “premium” design. 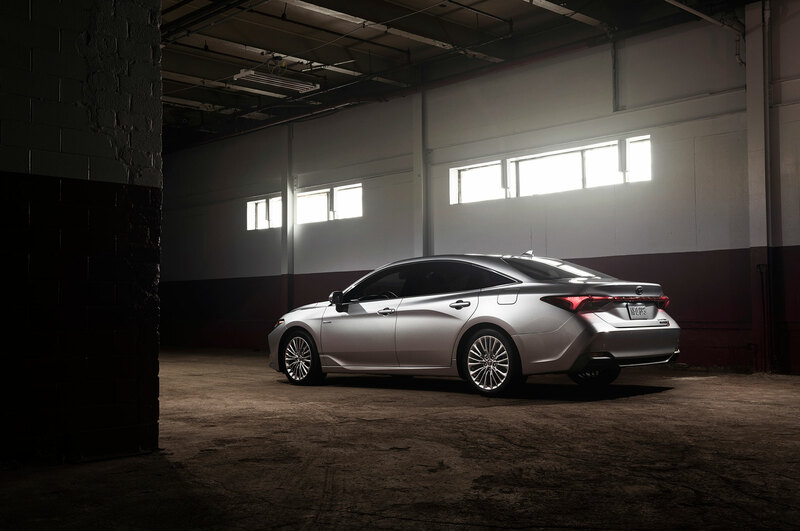 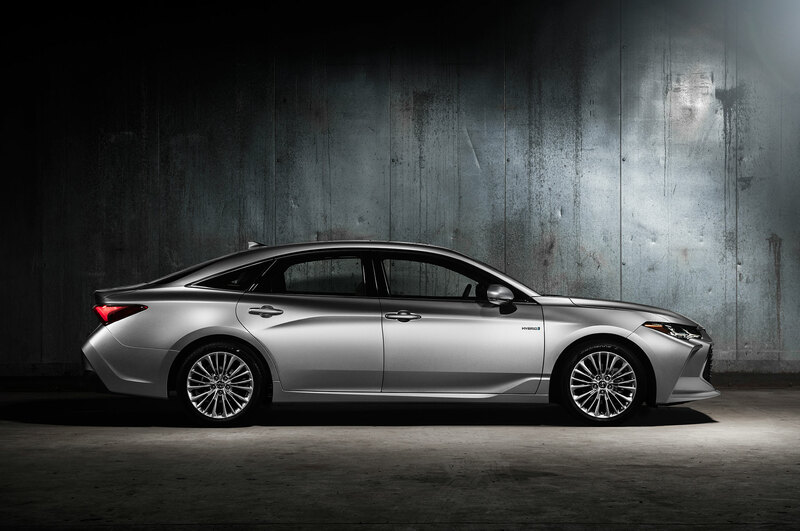 Overall, it’s the sleekest Avalon yet. 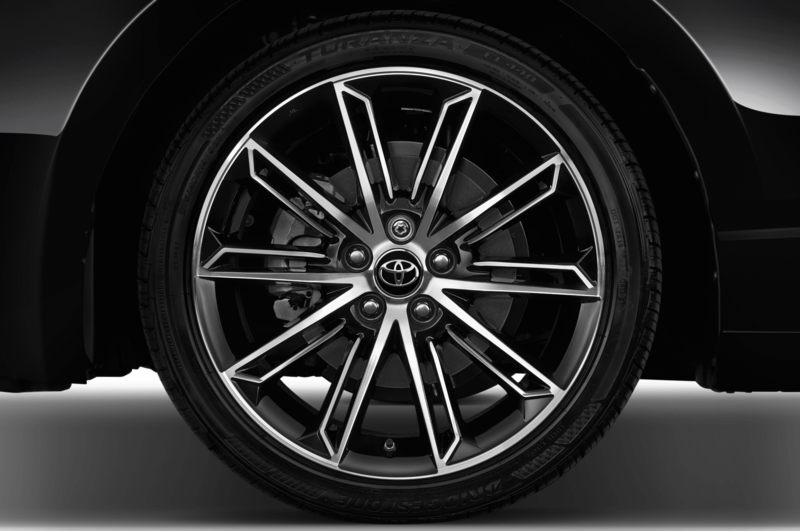 This is primarily thanks to a height reduction brought about by the TNGA, trimming one inch from the overall height when compared to the outgoing generation. 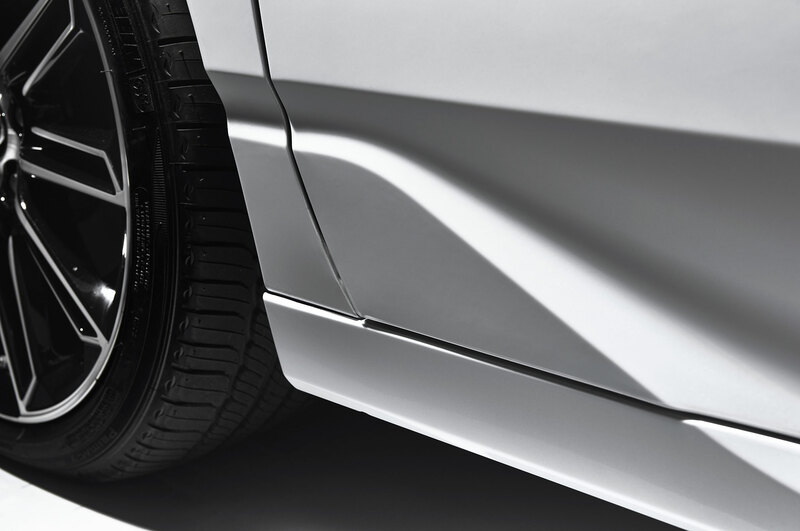 The front and rear overhangs are shaved down by an additional 0.4 inches and 1.0 inch, respectively, while the track grows by up to 0.4 inches in the front and up to 1.5 inches in the rear. 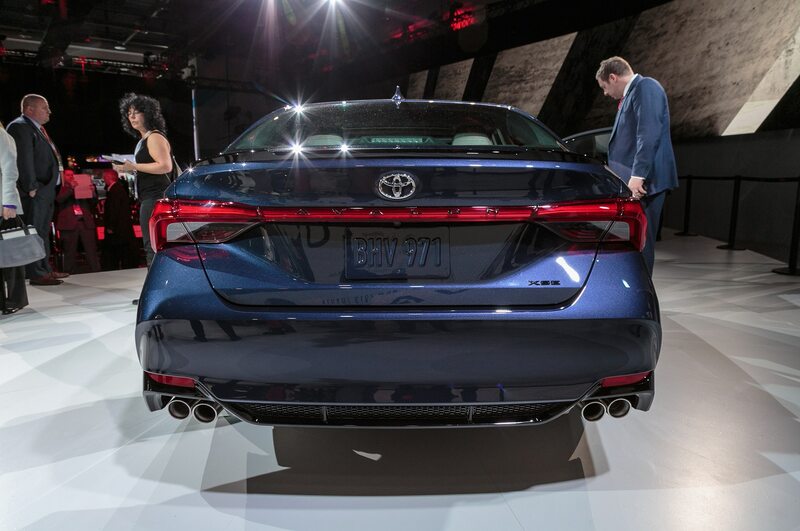 It’s wider and longer than ever before as well, with an additional 0.8 inches in the width and 2.0-inches added to the wheelbase. Buyers have a choice of either a 3.5-liter V-6 on regular Avalon models, or a hybridized 2.5-liter four-cylinder setup on the Avalon Hybrid. 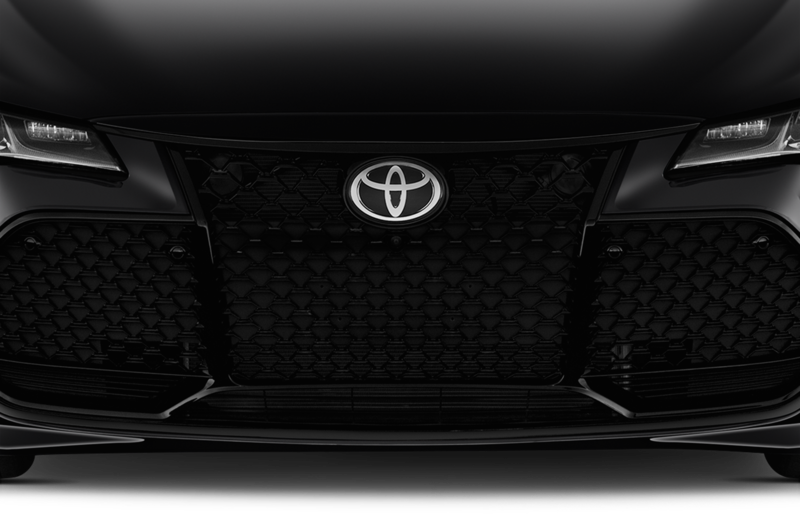 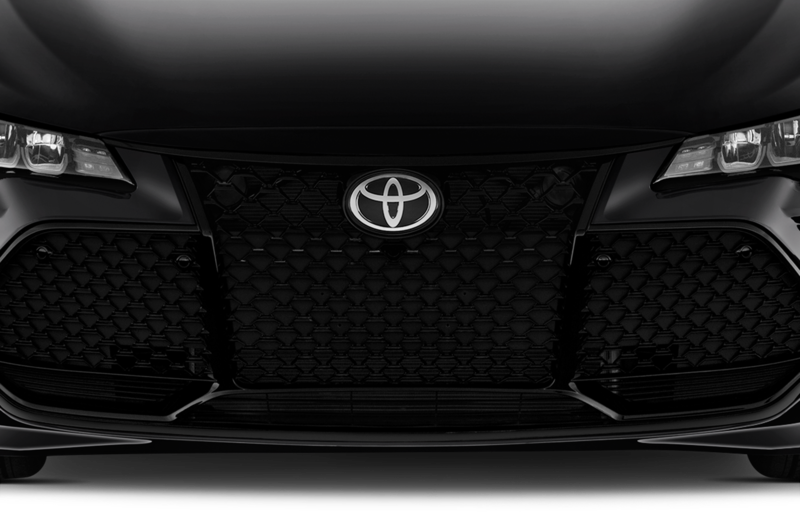 Toyota’s not revealing power figures as of yet, but expect the V-6 to push out right around 300 hp. 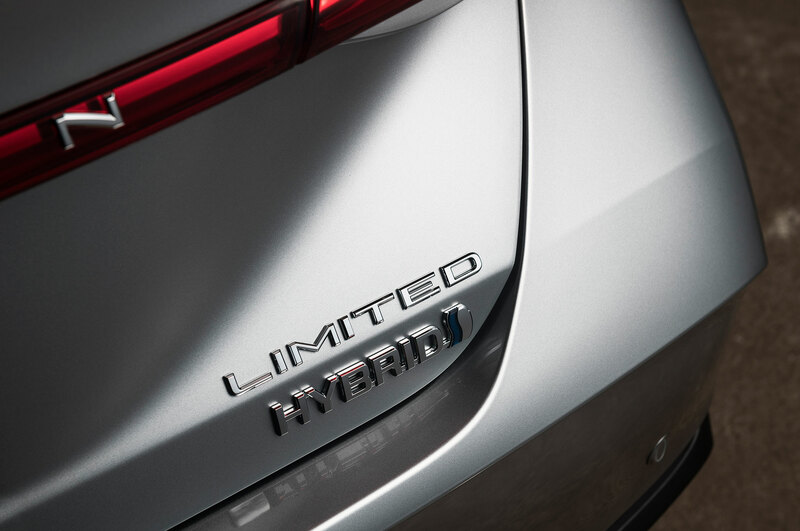 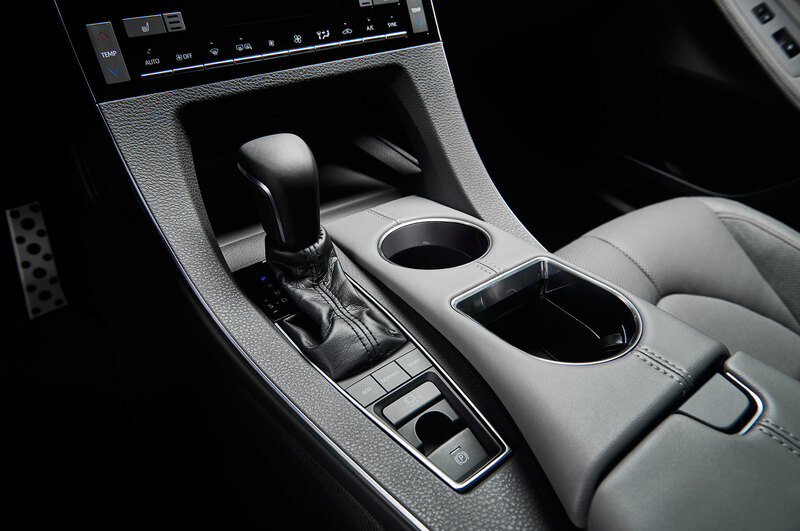 Stick with the non-hybridized models, and power is managed by an eight-speed automatic—hybrids feature a CVT transmission. 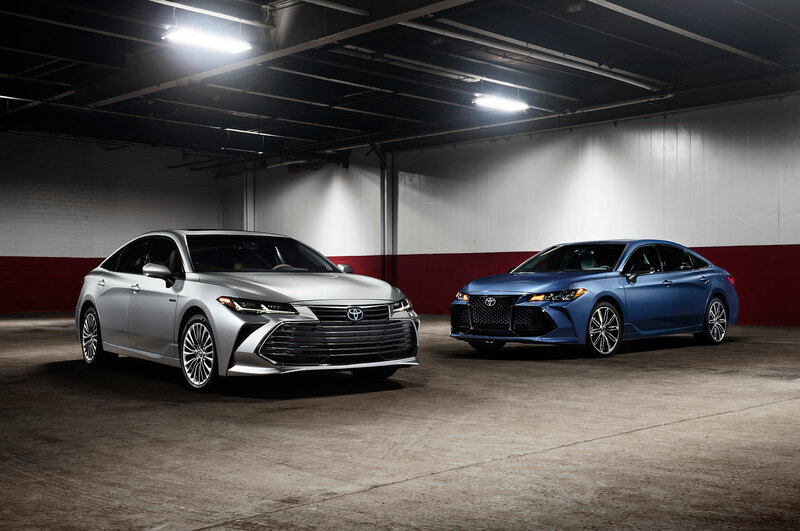 Inside, Toyota went to great lengths to separate the 2019 Avalon from the smaller Camry. 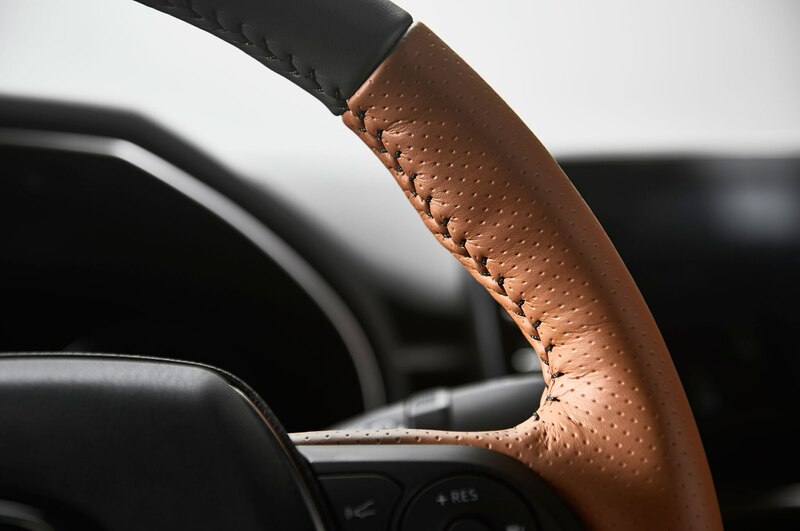 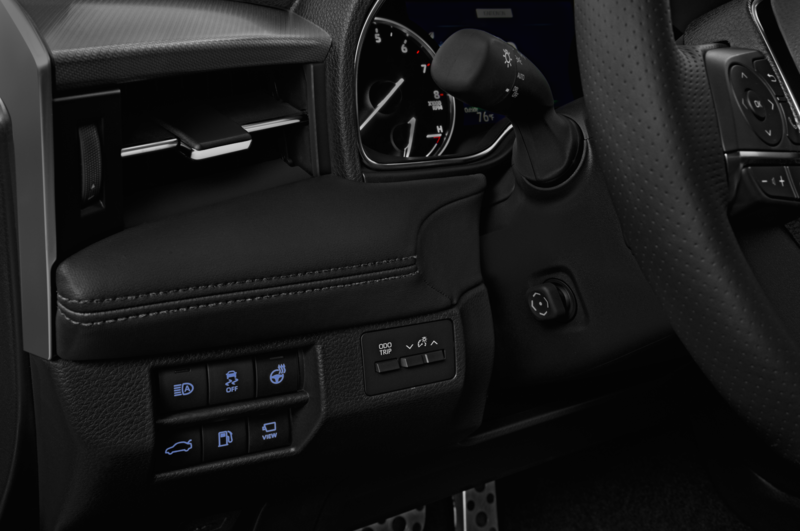 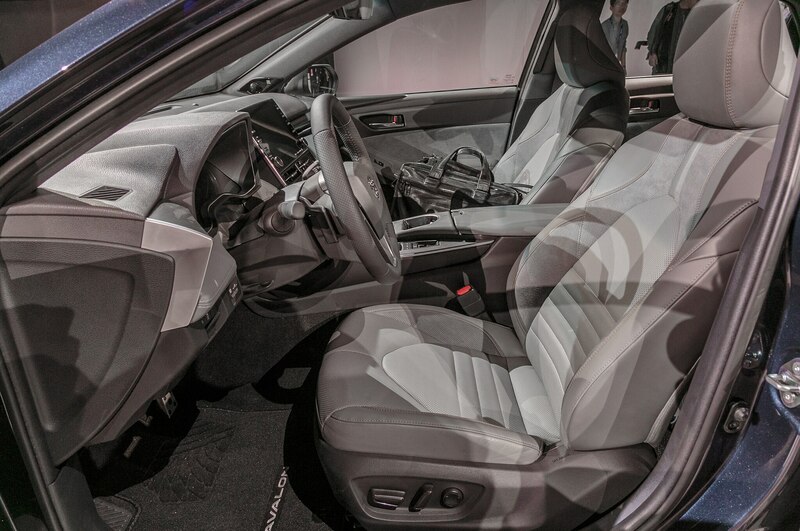 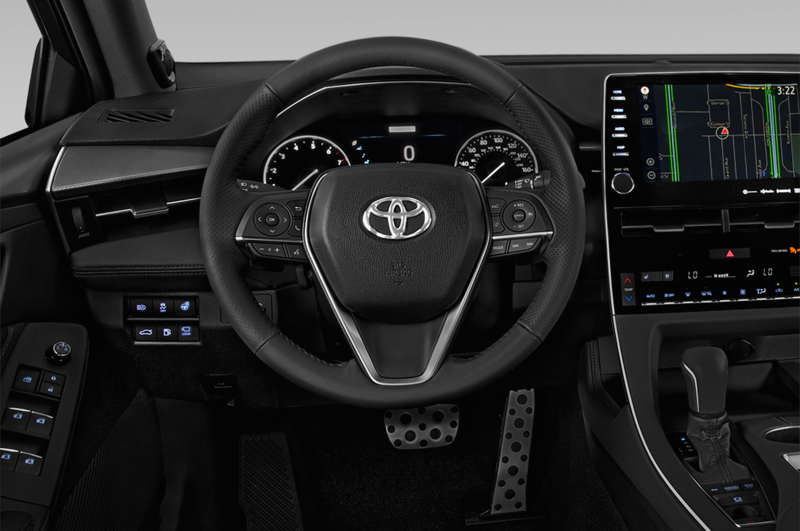 A new floating center stack provides a sculptural design that extends to the bi-level dash, while a new three-spoke steering wheel rounds out the driver’s area of the cockpit. It’s a nice, no-fuss upscale cabin, offering an inoffensive and soft-touch space to spend your time commuting or road tripping across the country. 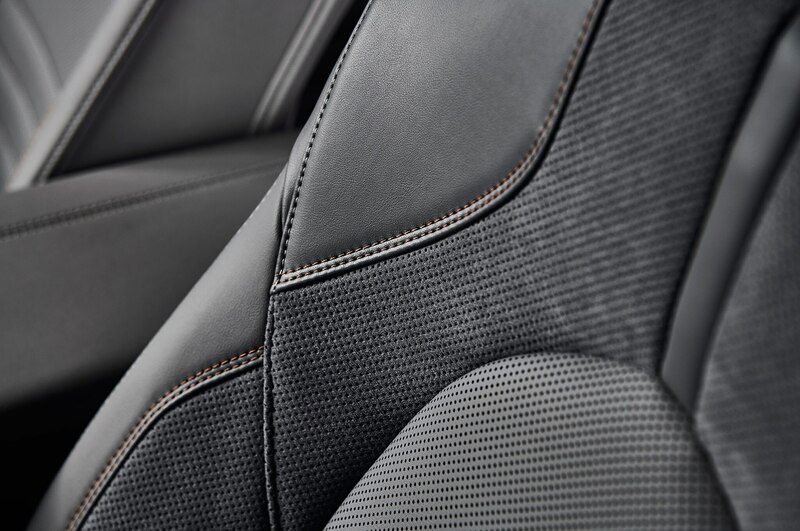 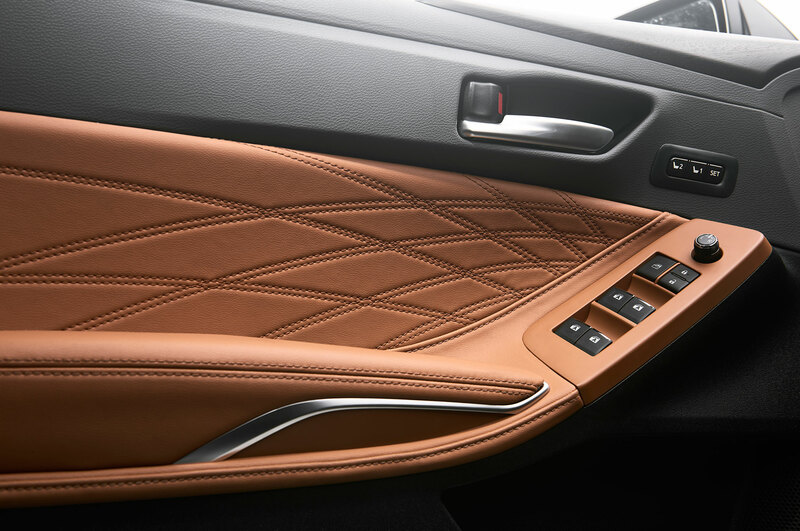 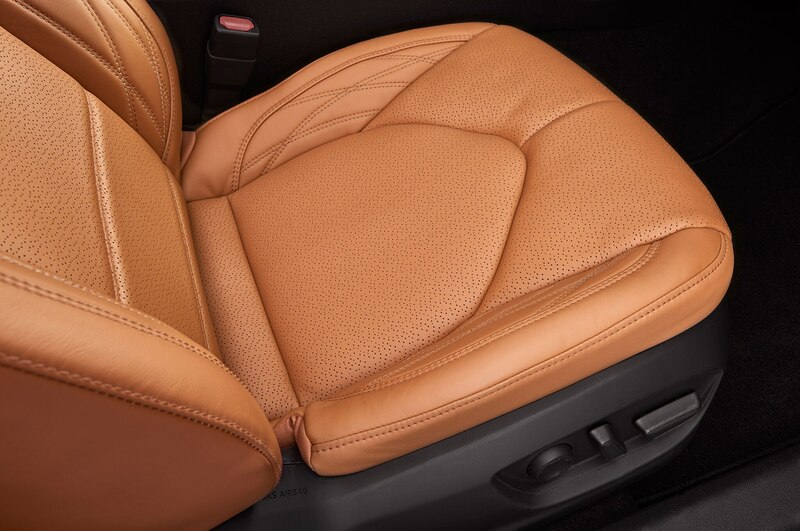 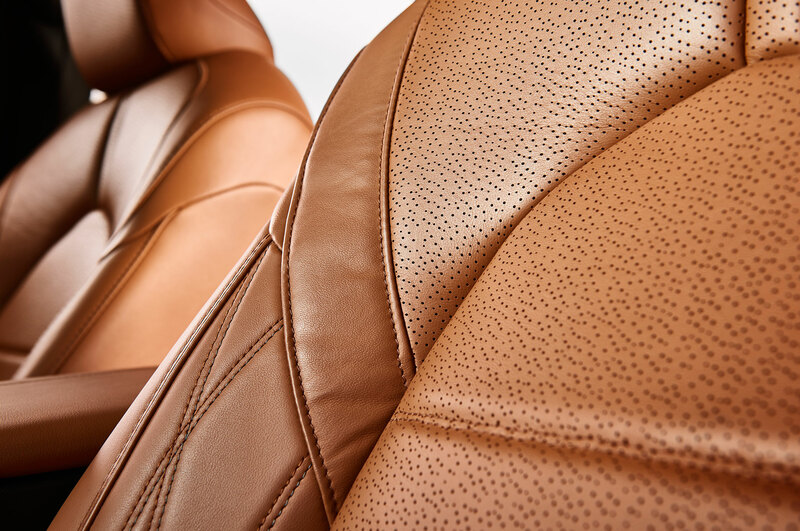 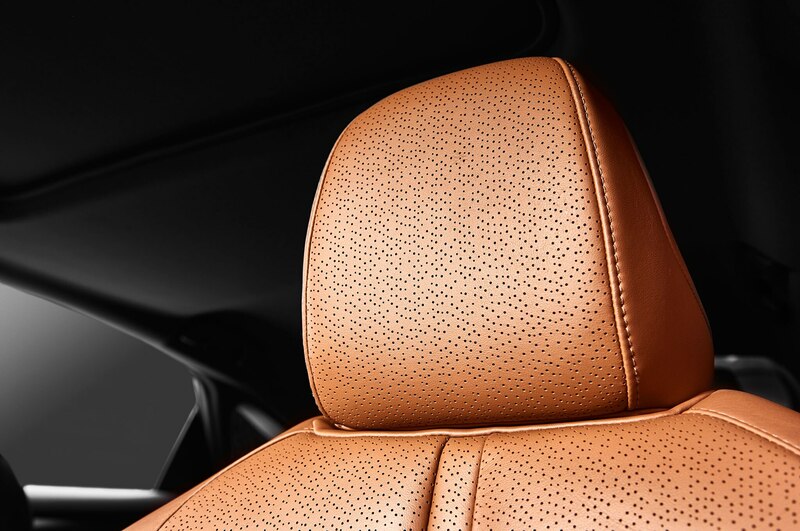 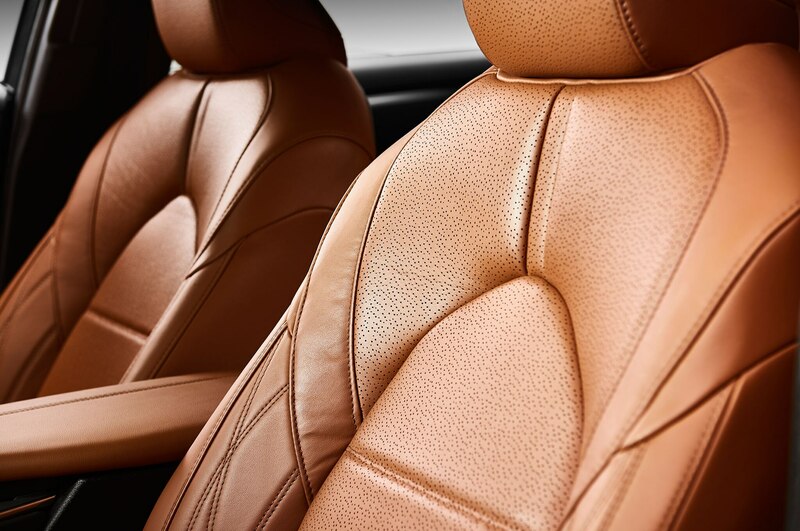 For the first time, the Avalon can now be had in an eye-catching light-brown Cognac leather color, along with the traditional black or gray hues. 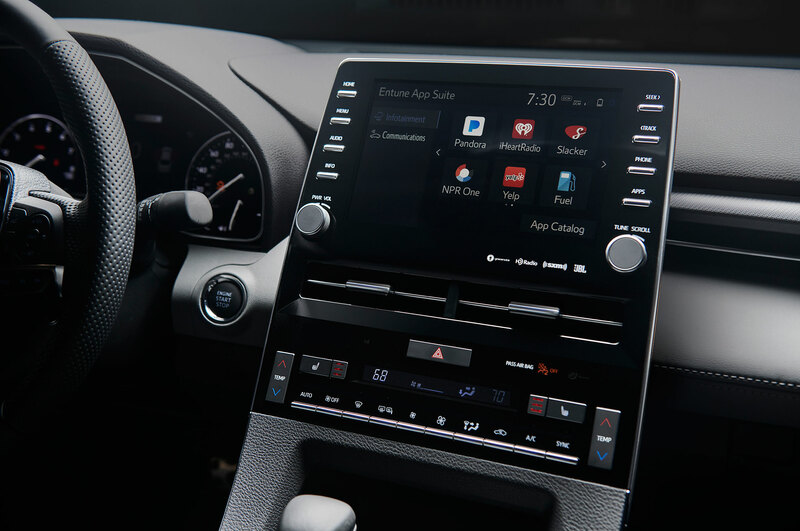 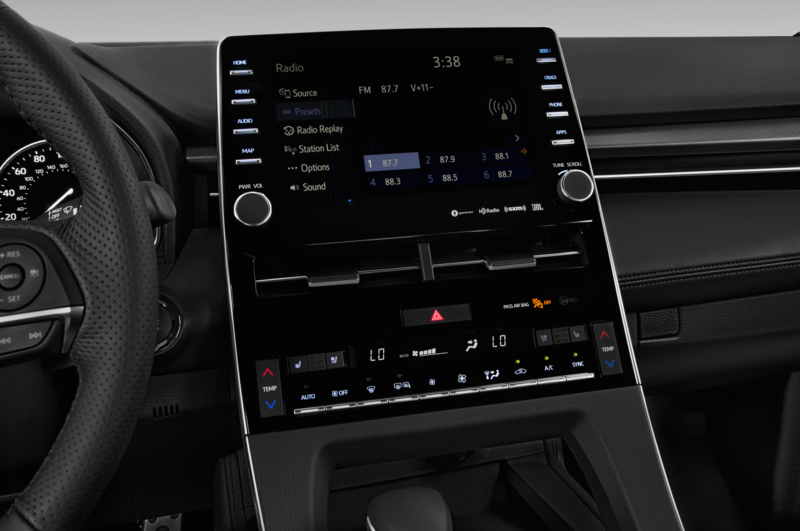 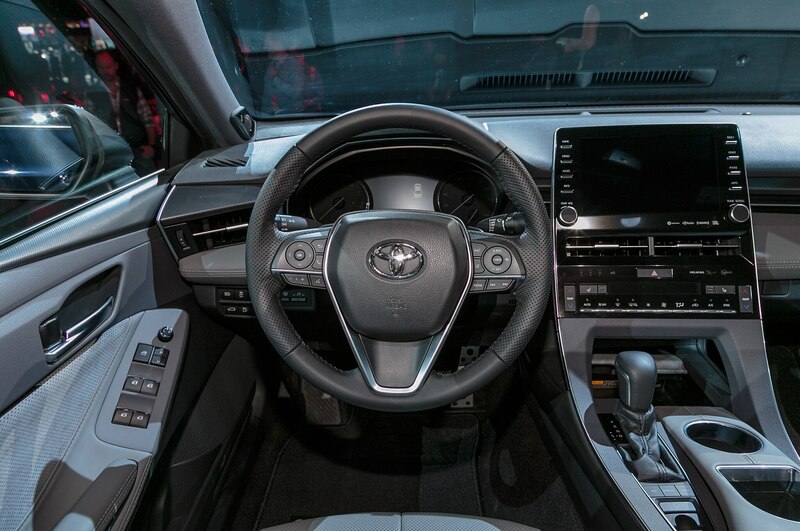 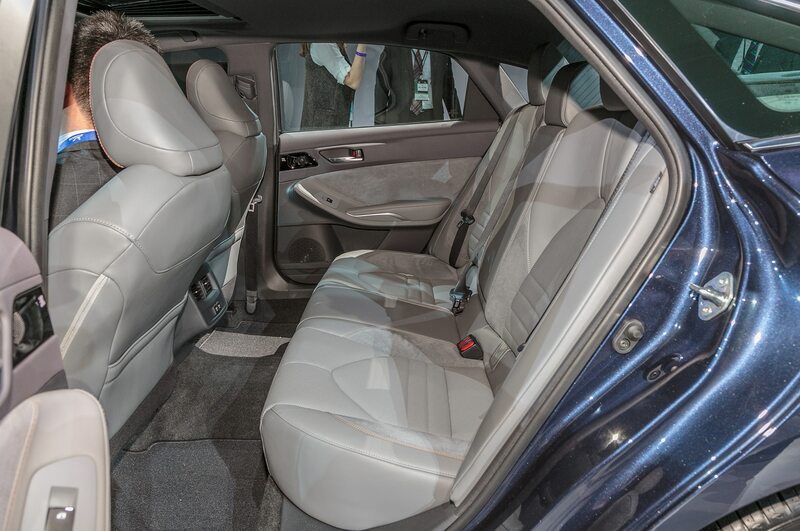 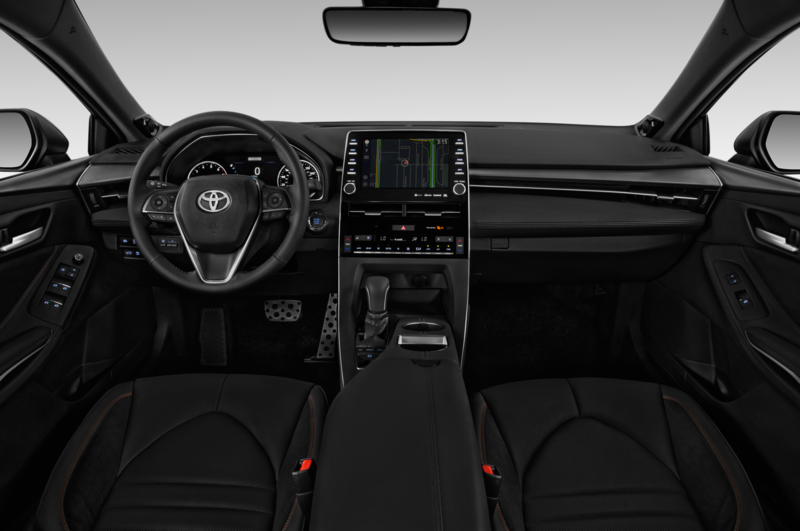 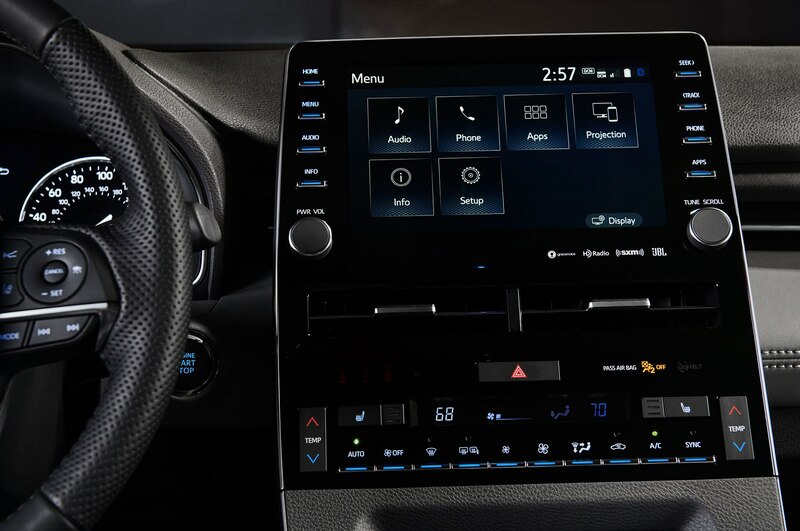 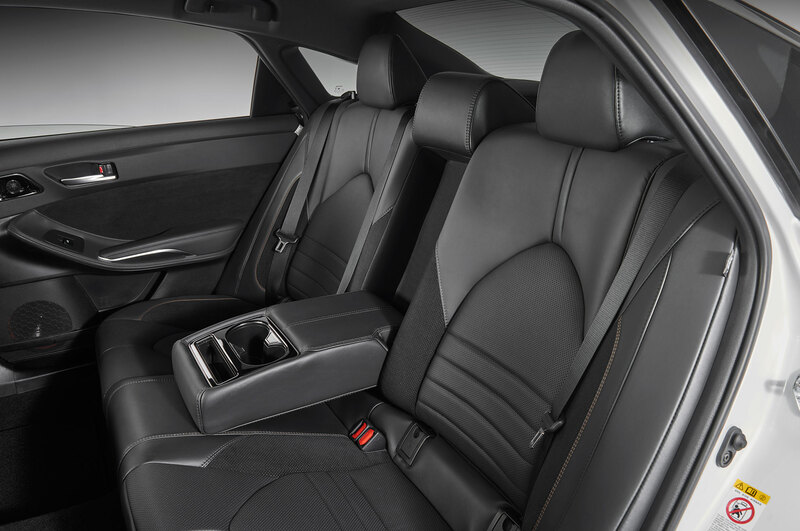 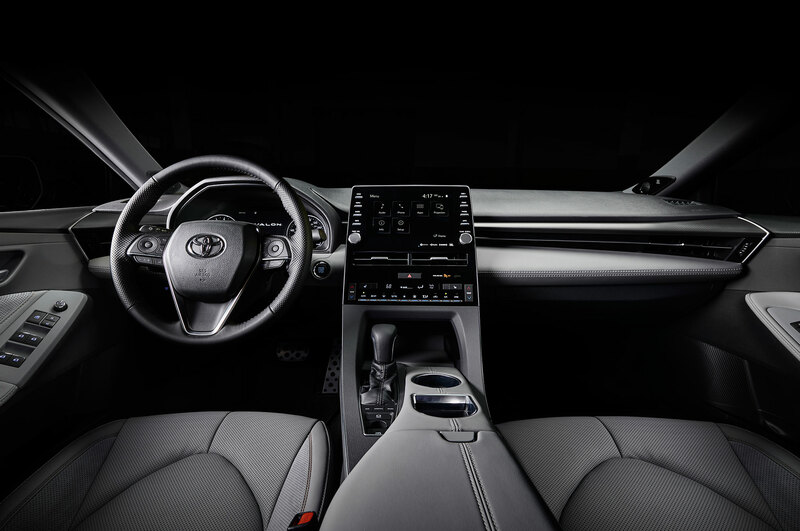 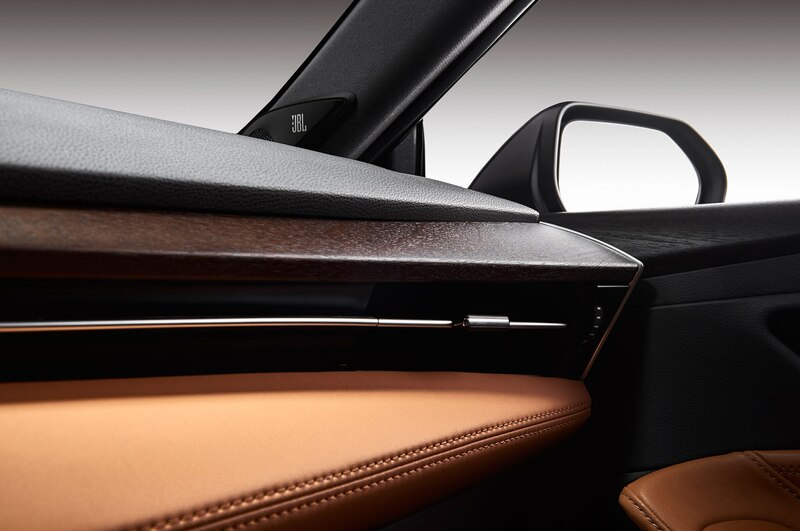 As you would expect in the full-size premium segment, the Avalon is packed with all manner of multimedia and infotainment goodies. 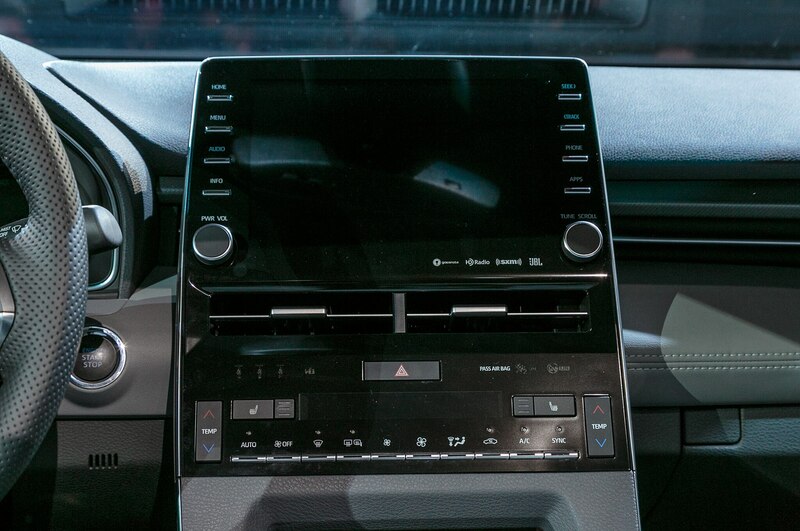 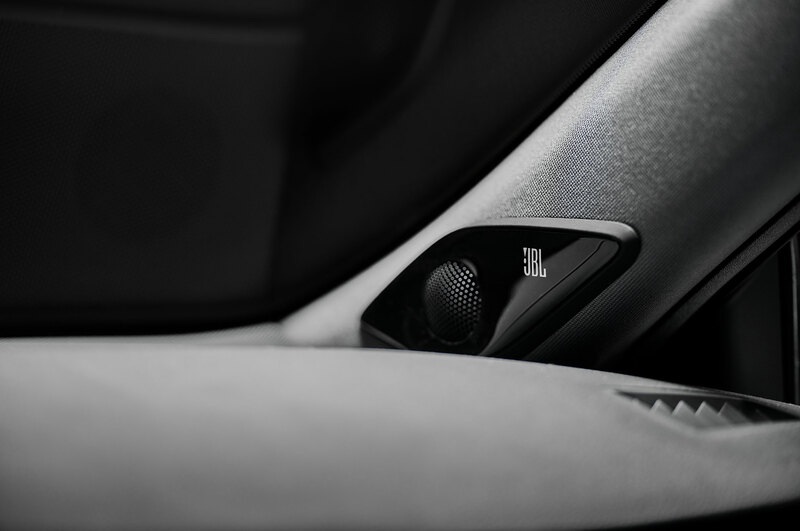 Chief among which is the new 1200-watt JBL sound system that Toyota proudly claims was developed by benchmarking sound systems from a few price segments above the Avalon. 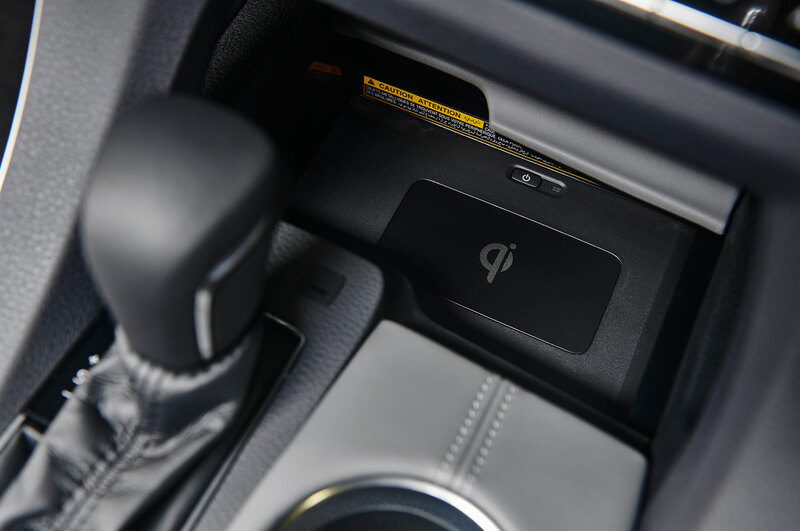 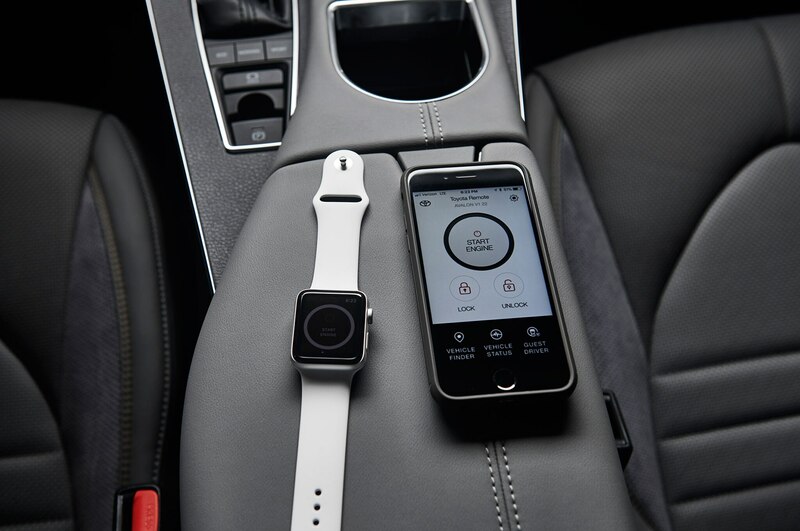 There’s also standard wireless charging, WiFi hotspot, Apple CarPlay, and integration with both smartwatches and Amazon Alexa. 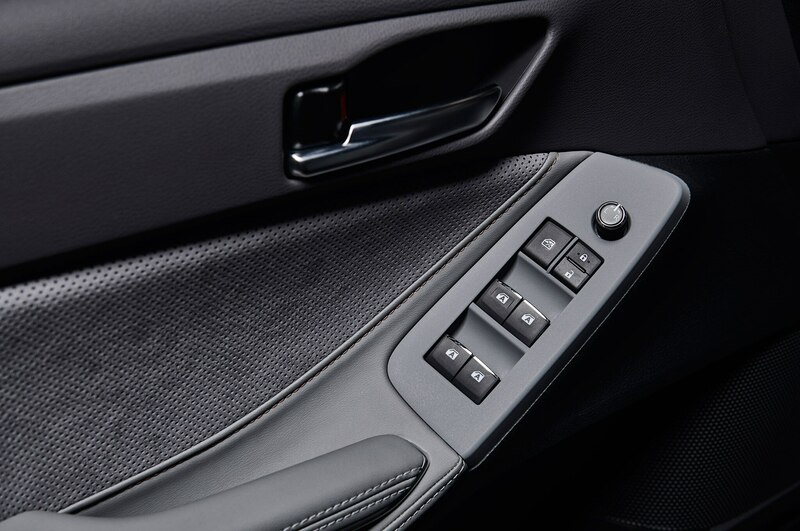 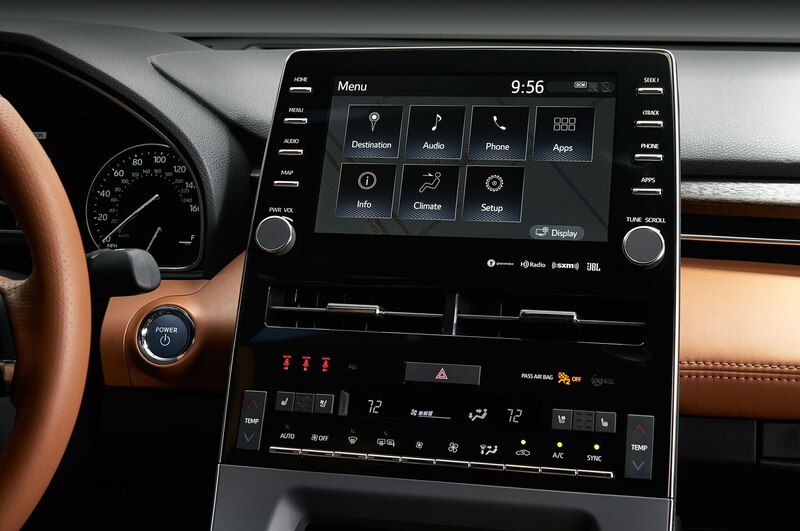 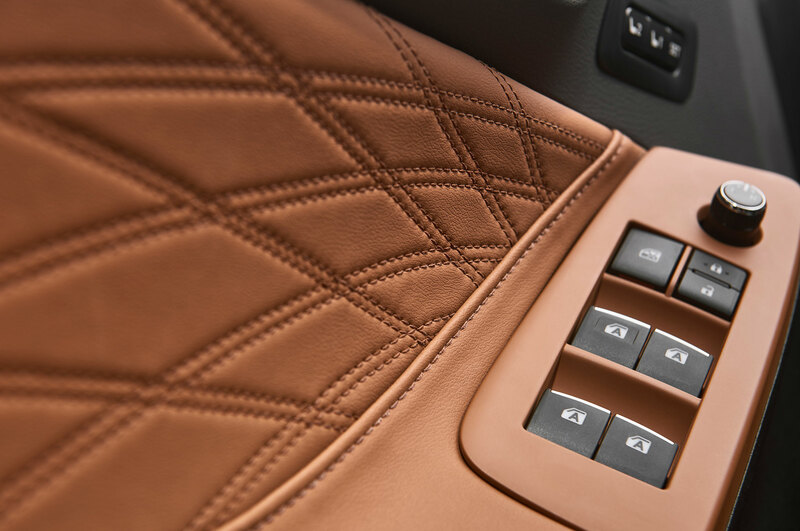 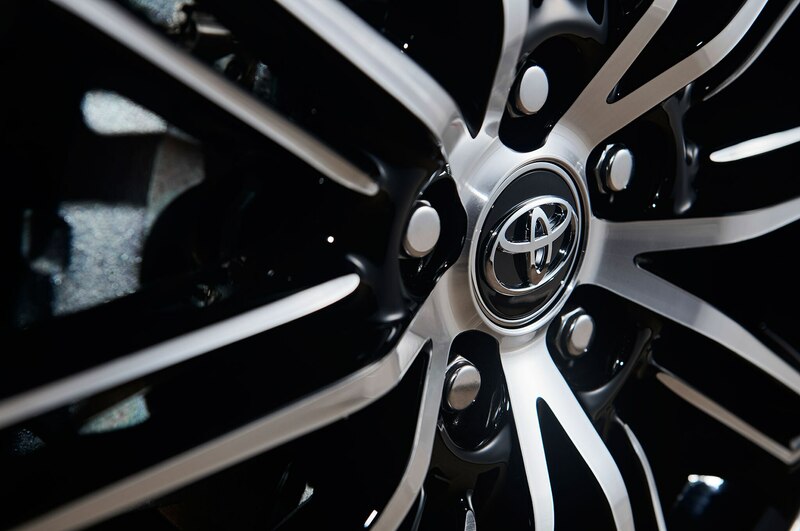 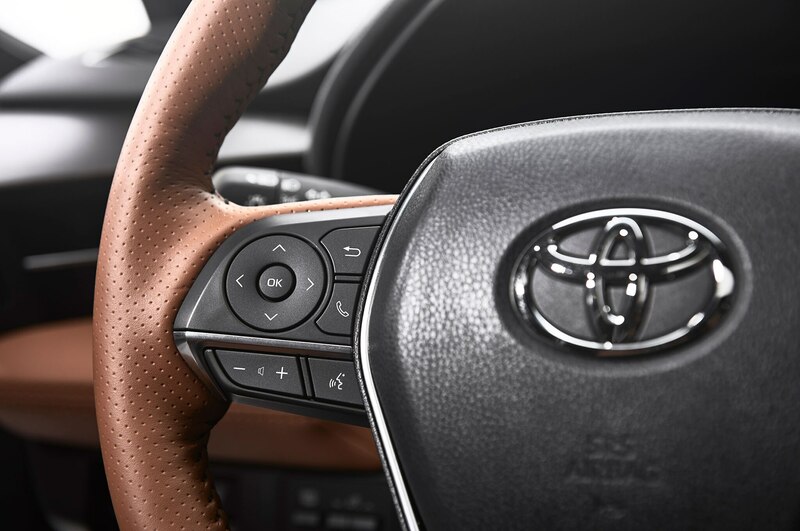 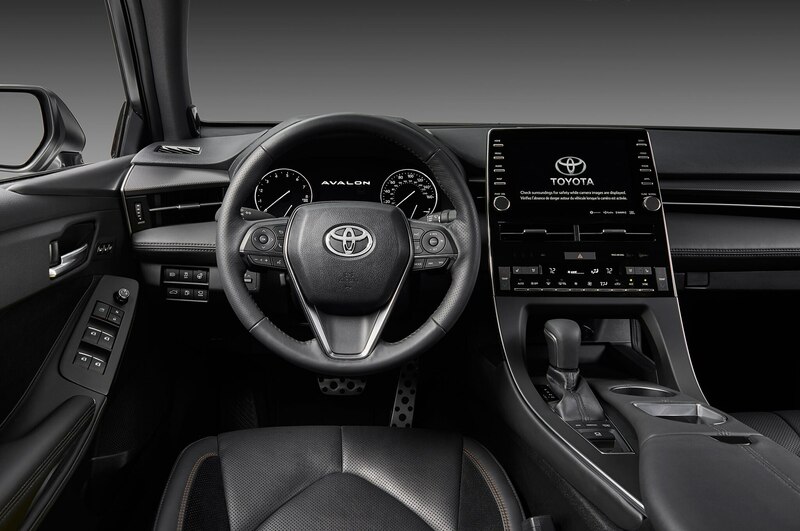 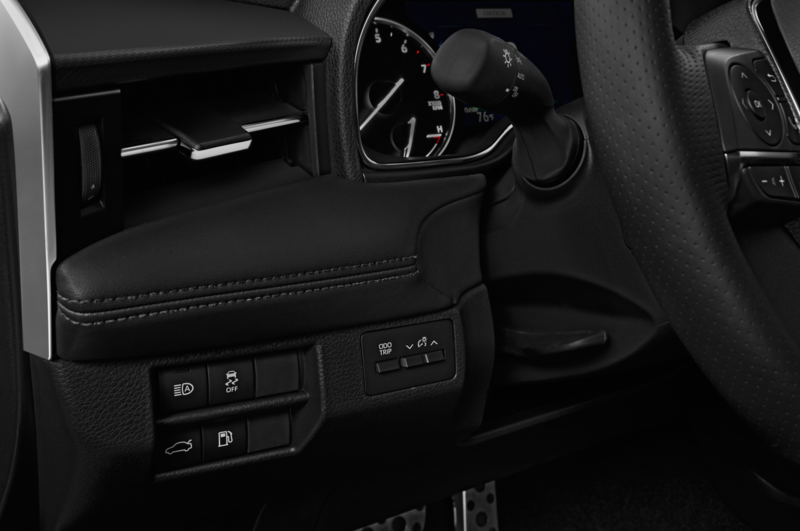 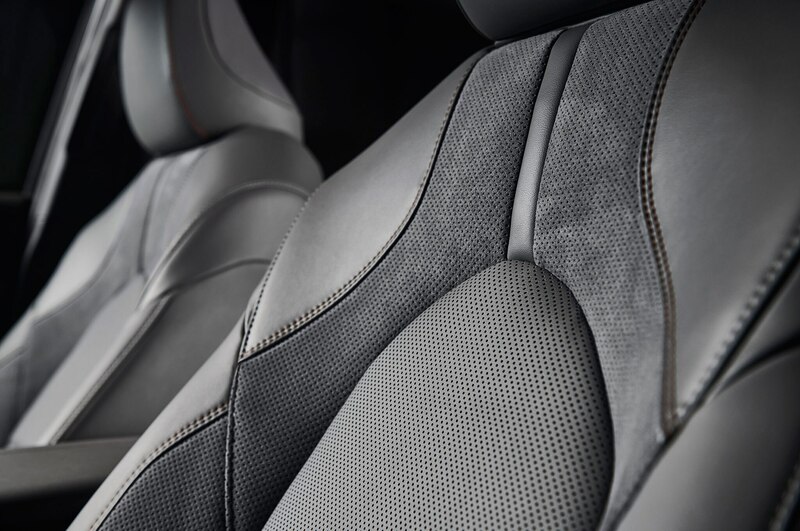 If you find yourself distracted by all these multimedia options, don’t worry—it’s just as safe as any modern Toyota. 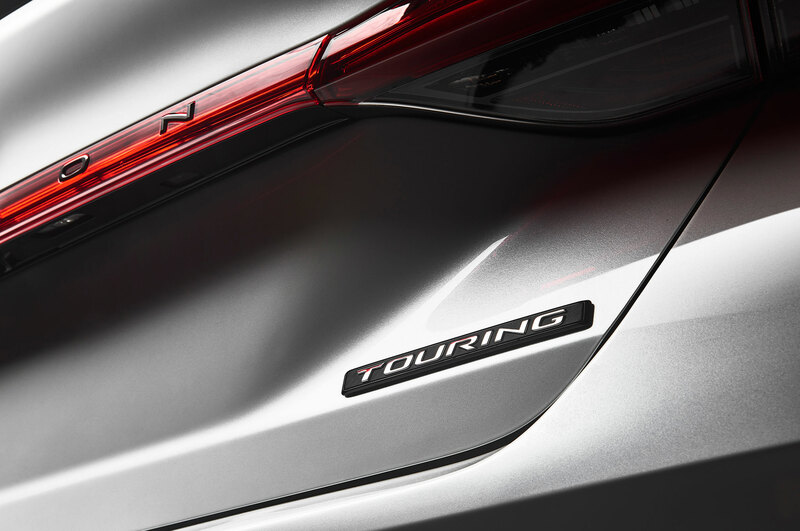 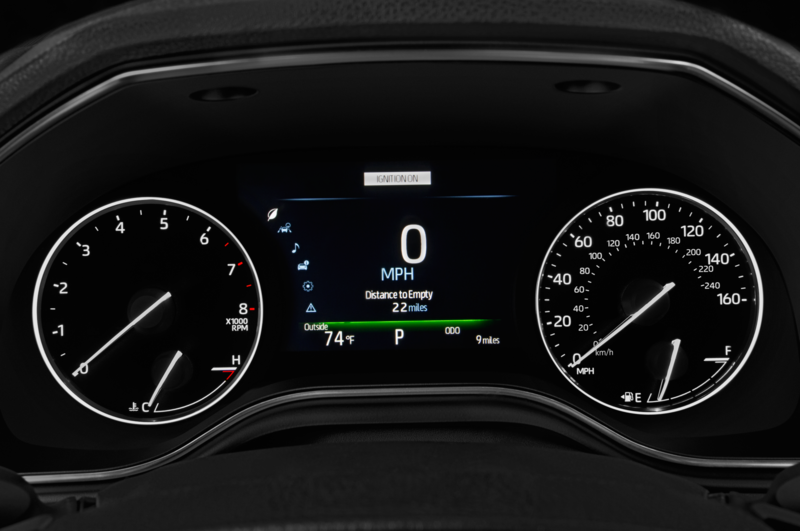 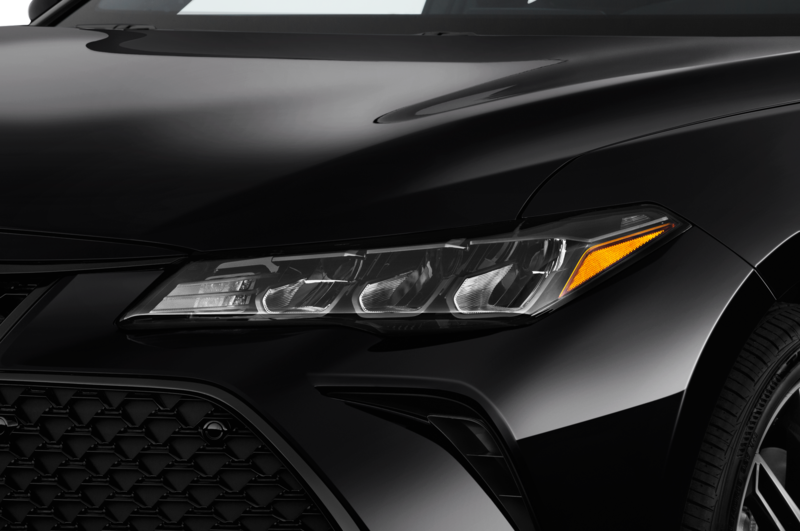 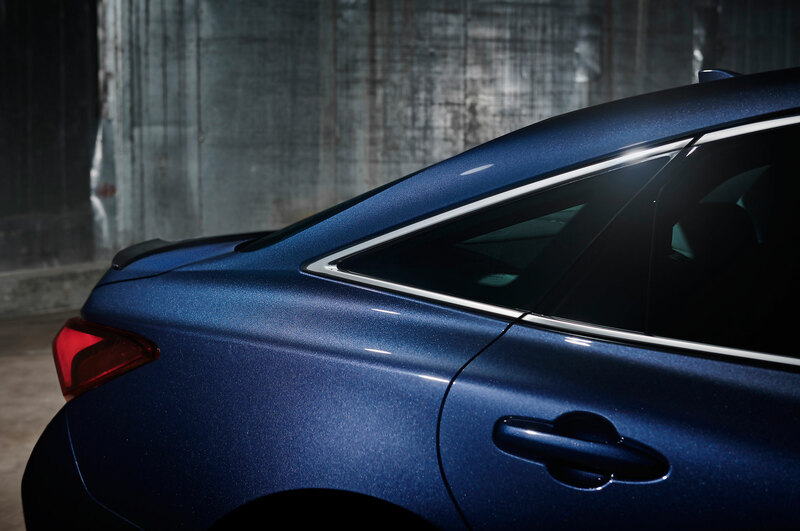 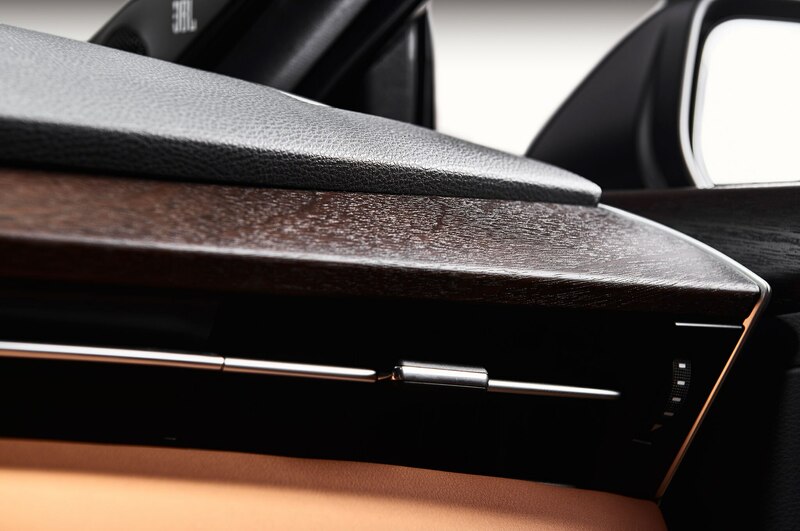 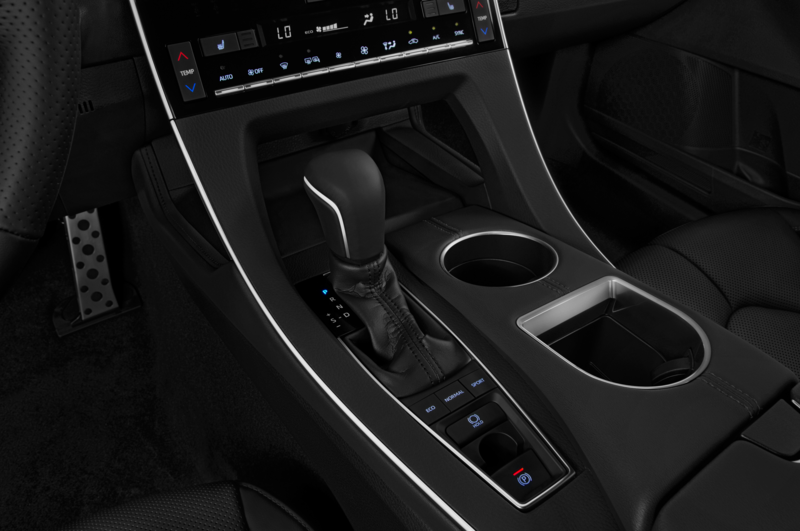 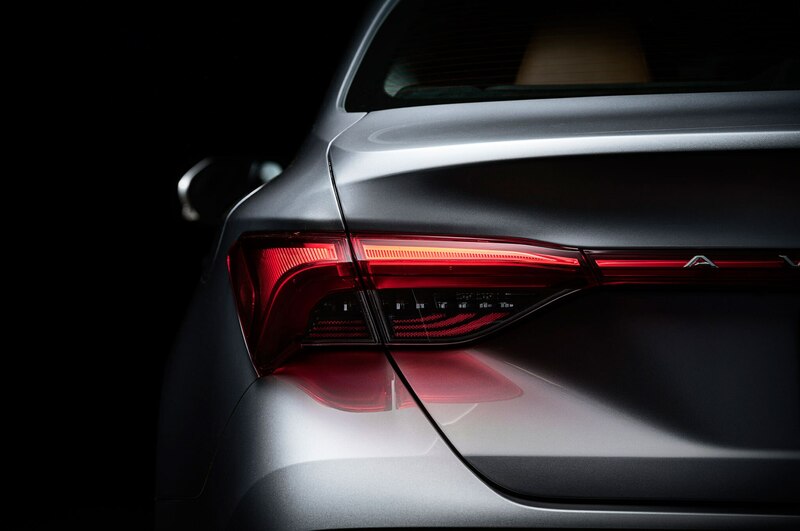 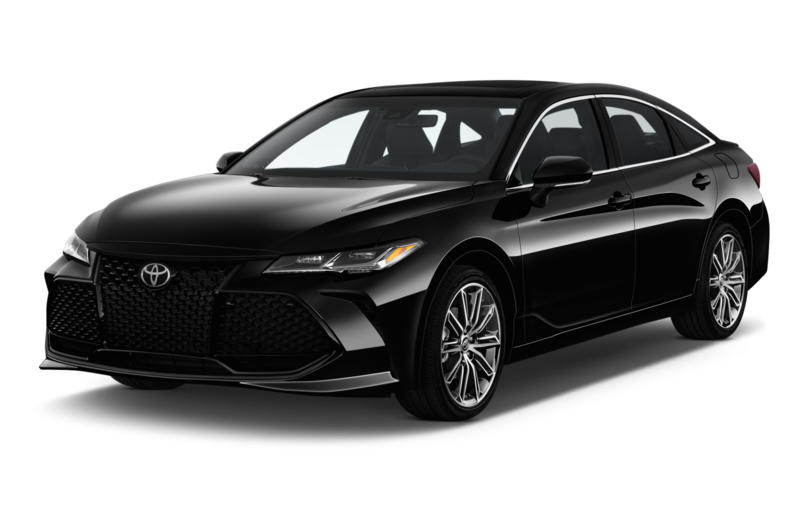 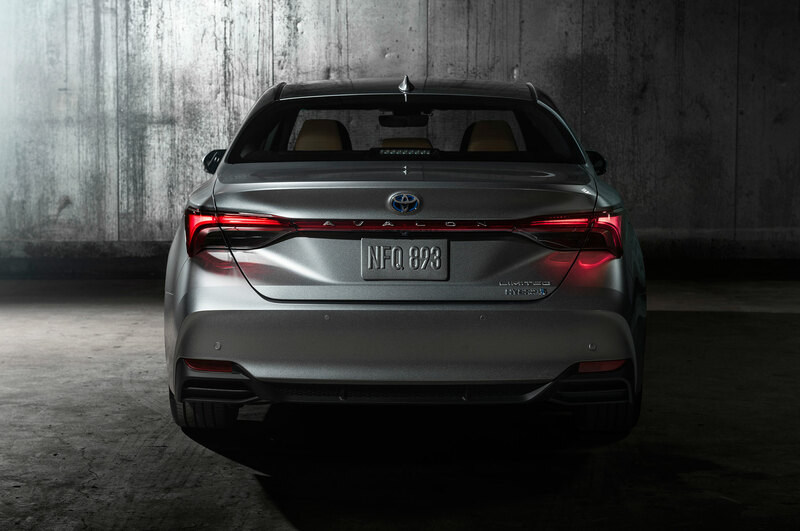 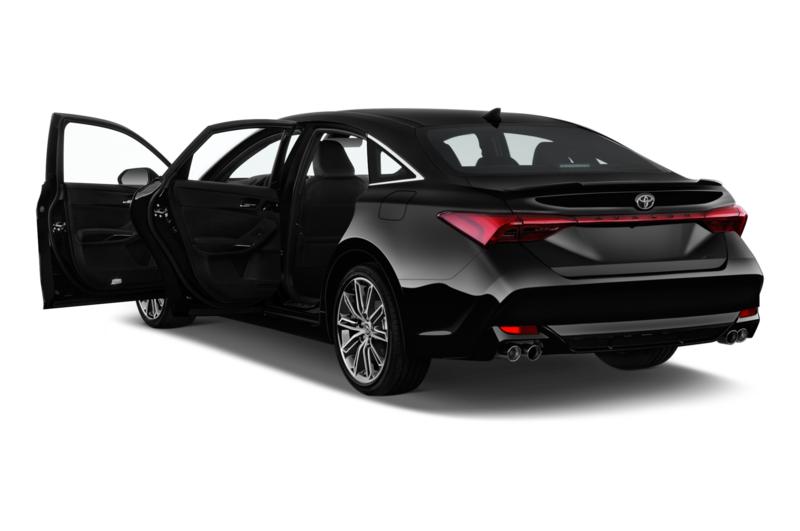 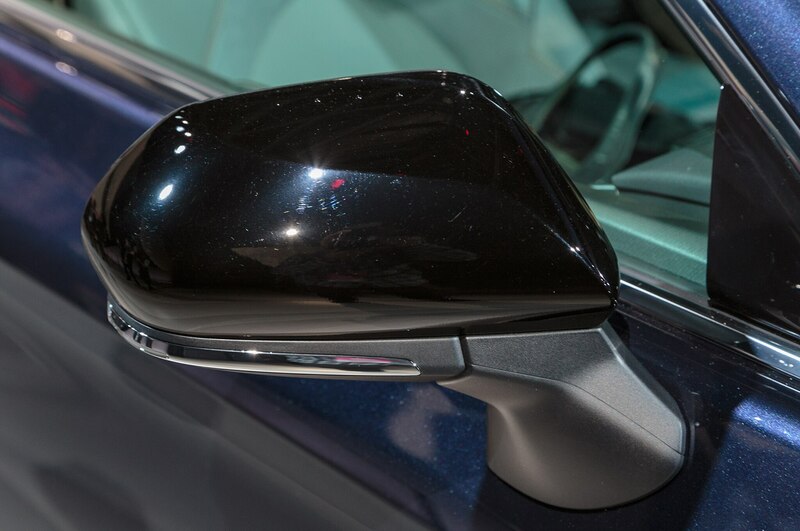 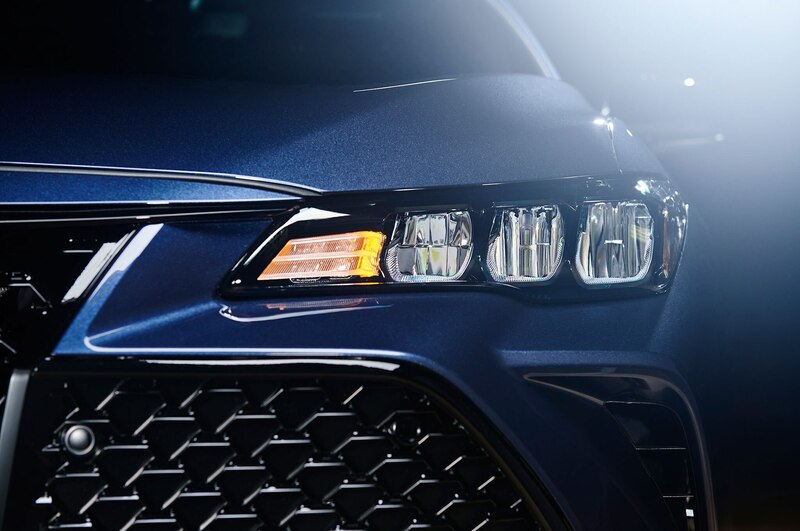 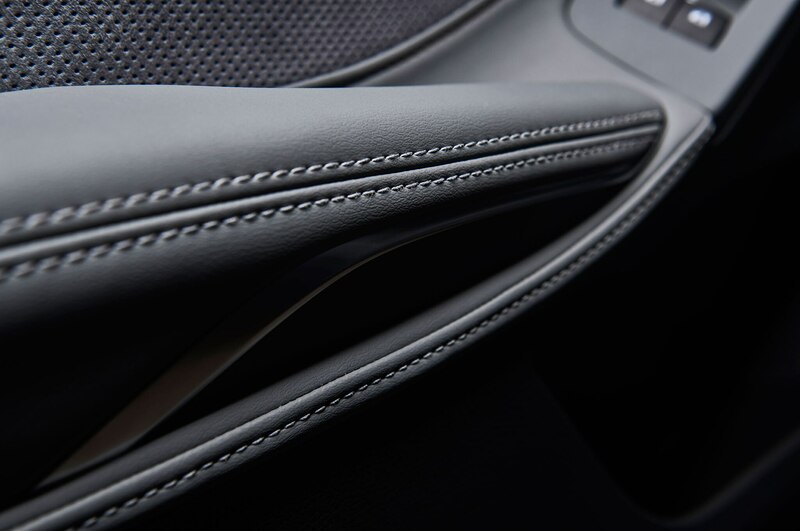 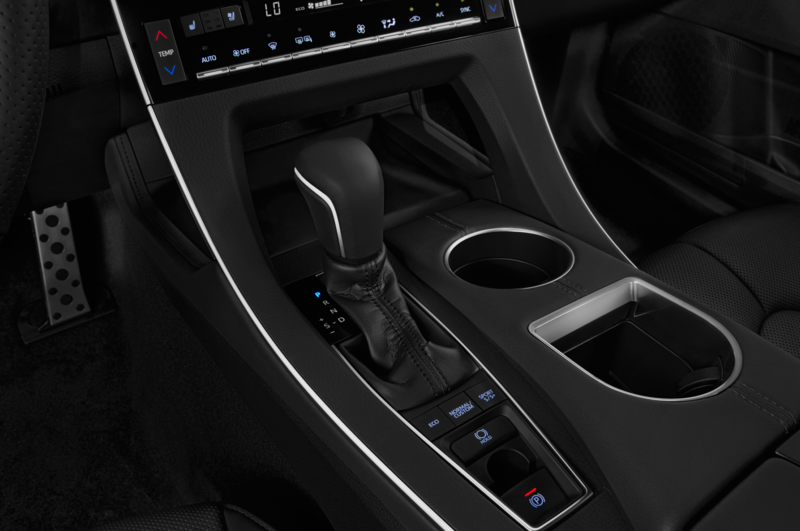 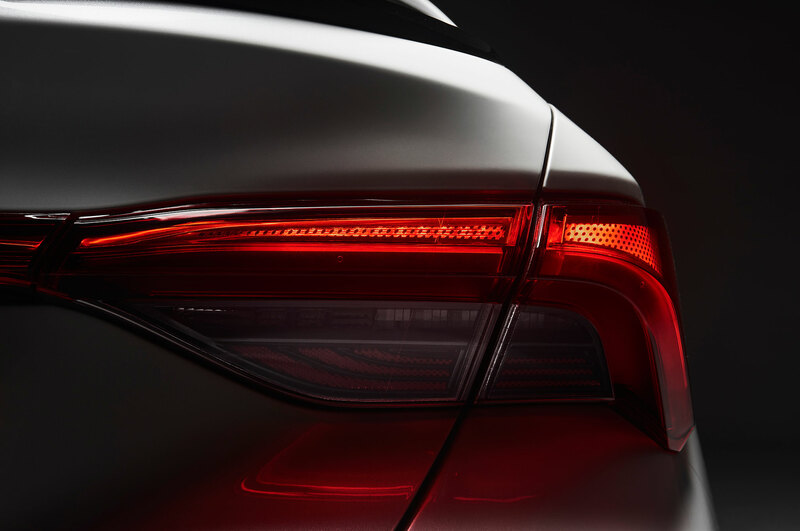 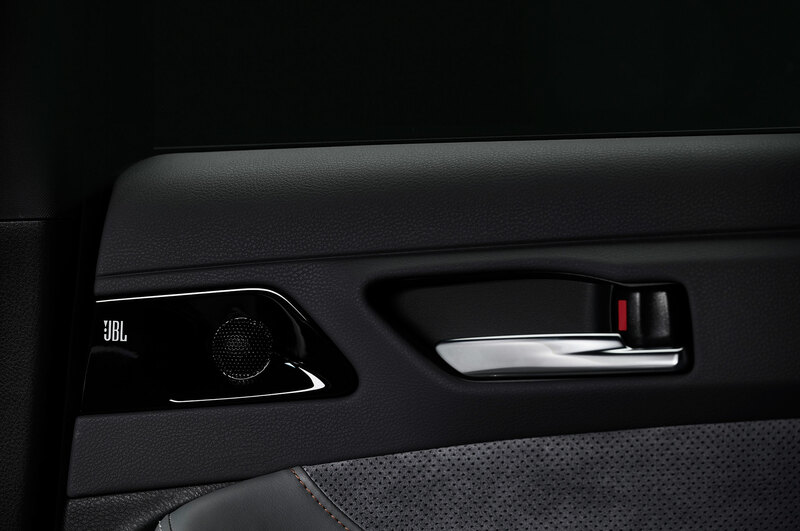 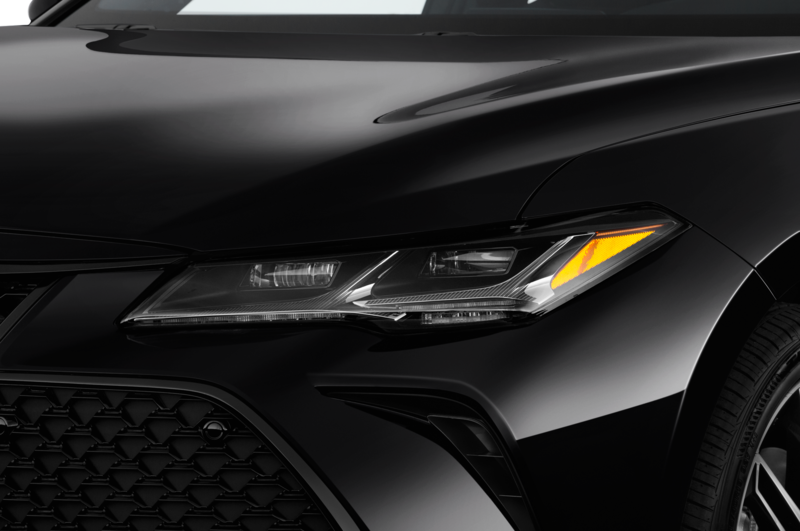 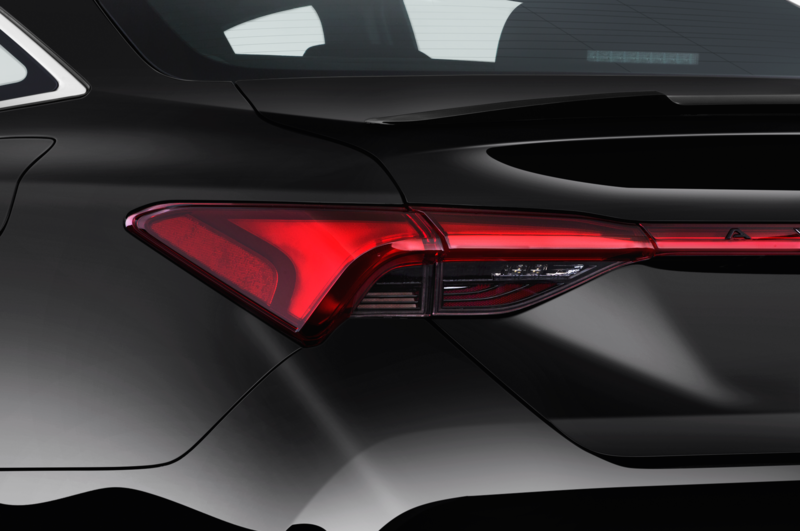 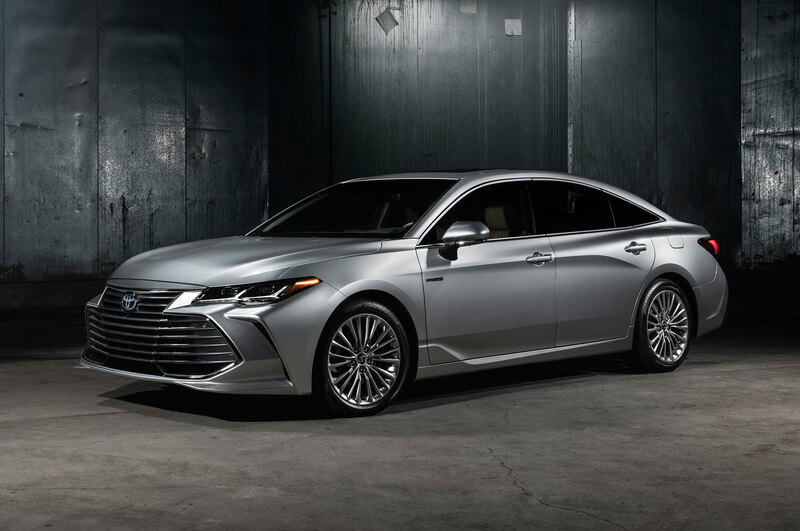 Each 2019 Avalon comes loaded with a pre-collision with pedestrian detection, radar-guided cruise control, lane departure alert with steering assist, blind spot monitoring, rear cross-traffic alert, and automatic hi-beams. 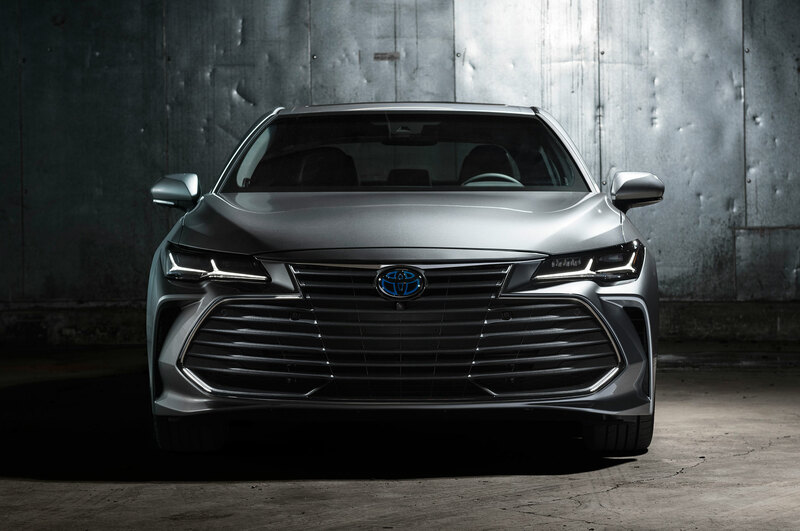 No word yet on pricing or availability, but look for the 2019 Toyota Avalon to hit showroom floors later this year.